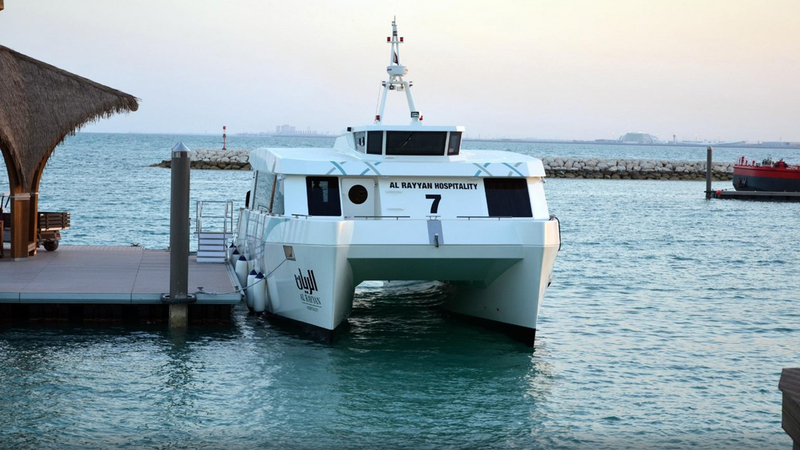 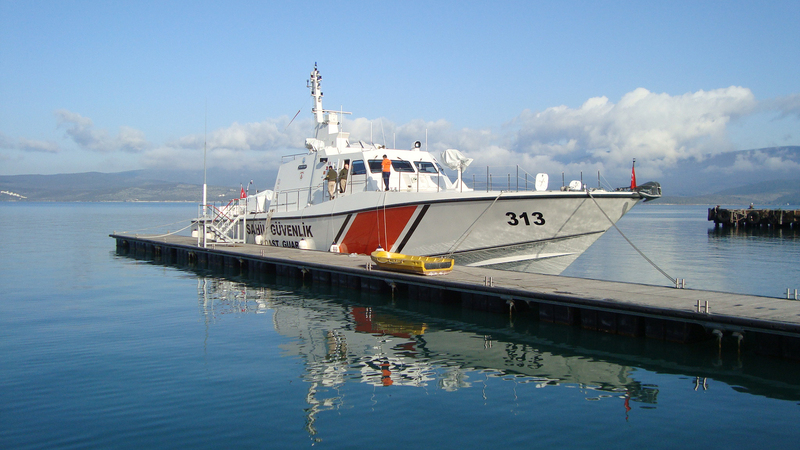 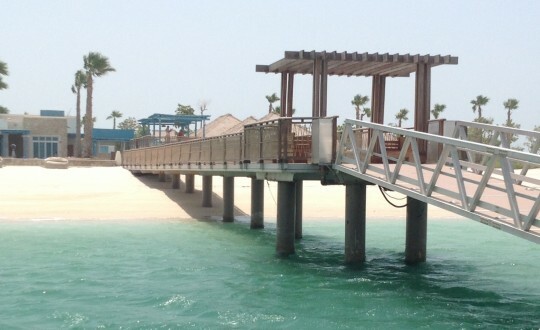 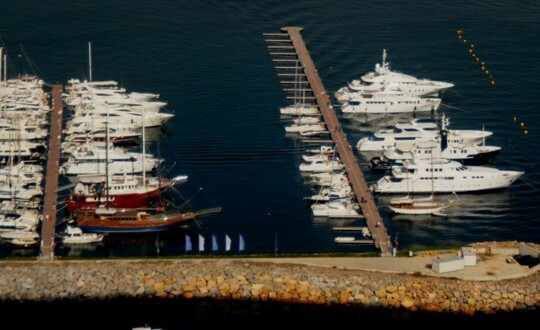 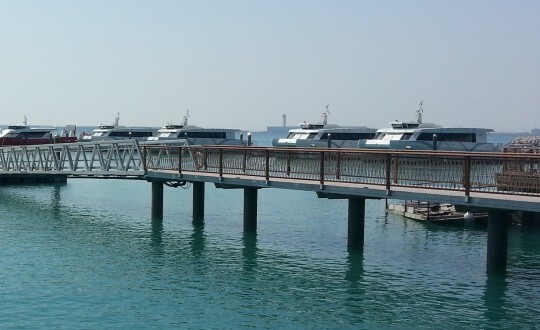 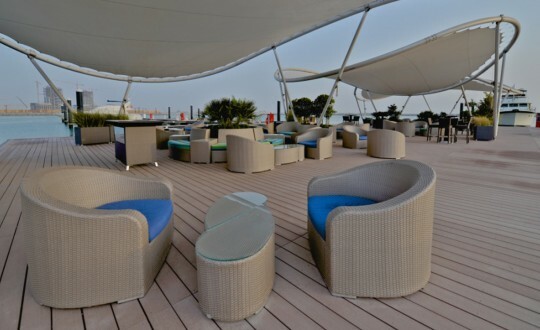 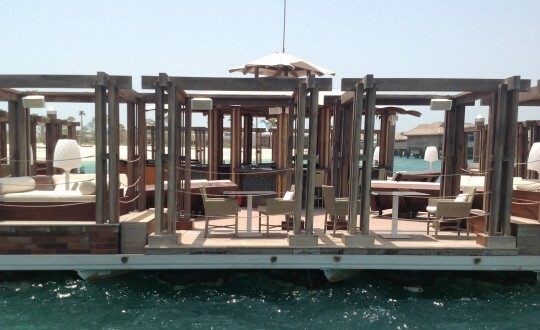 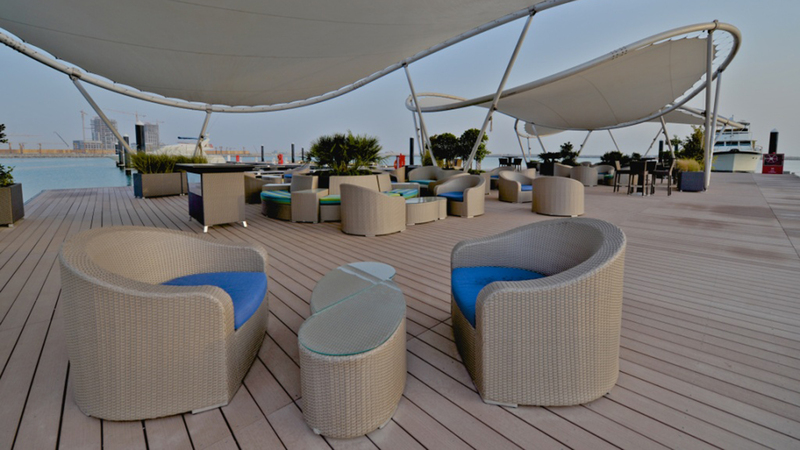 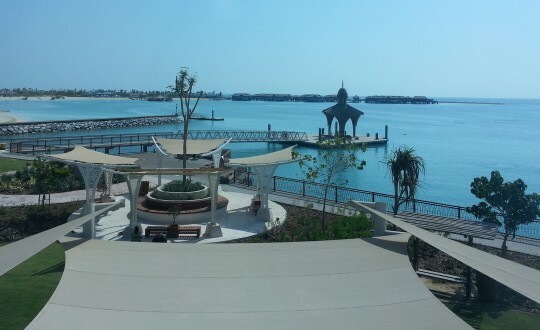 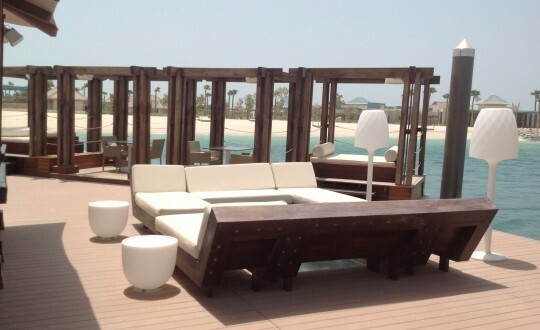 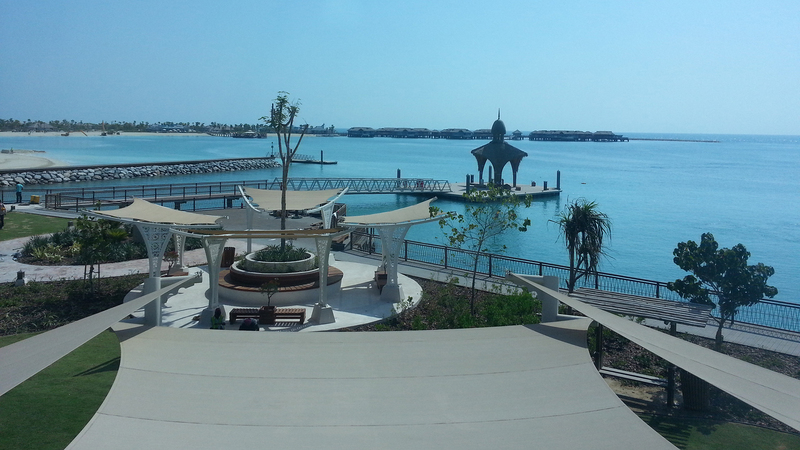 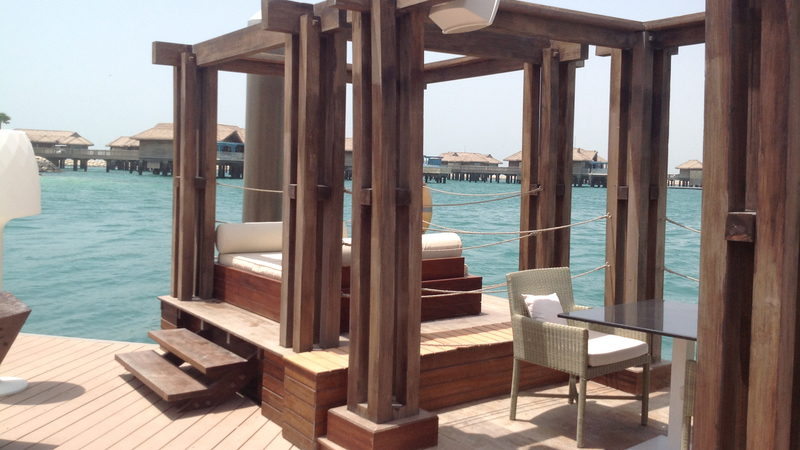 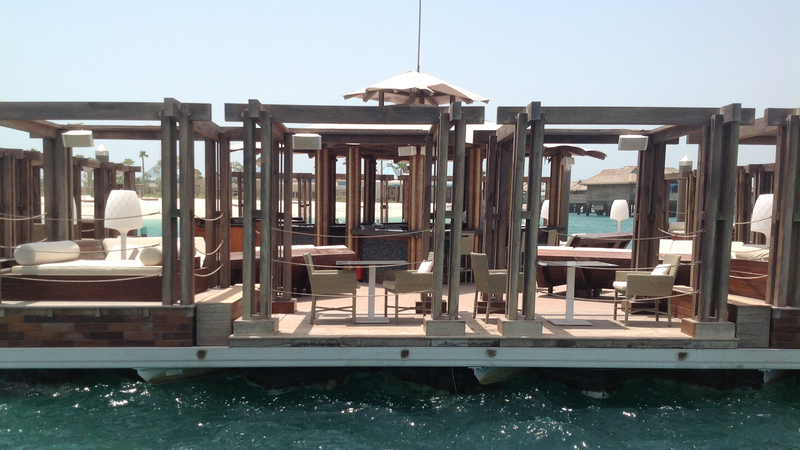 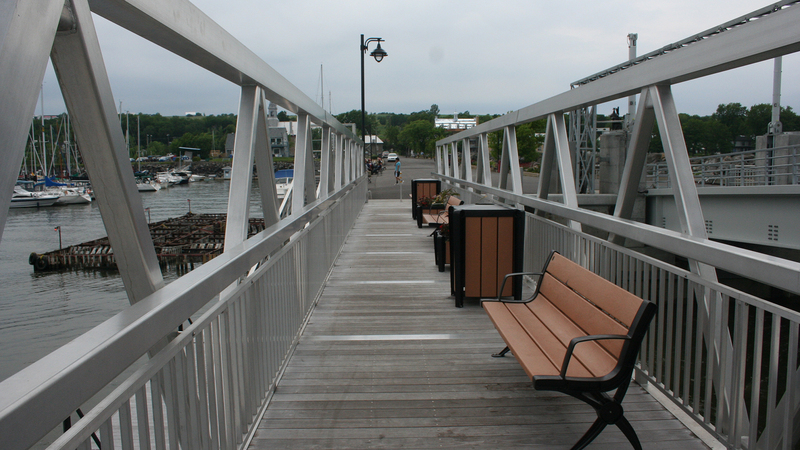 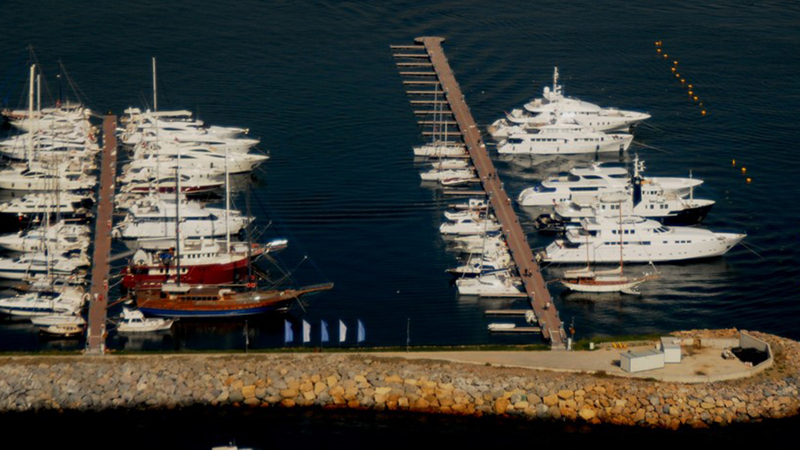 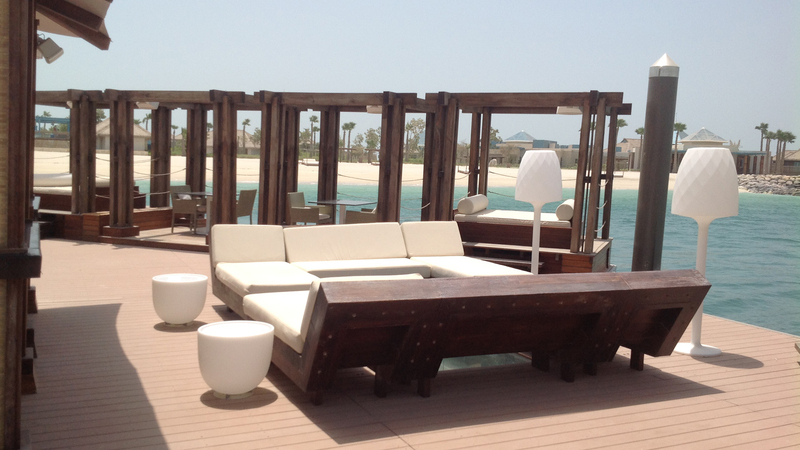 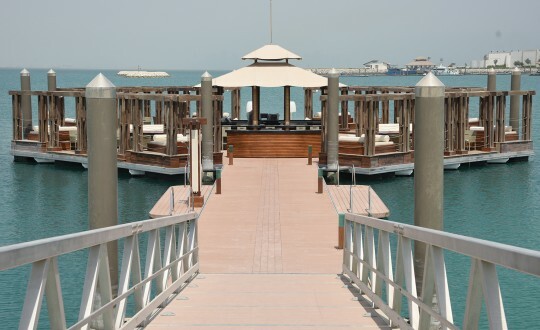 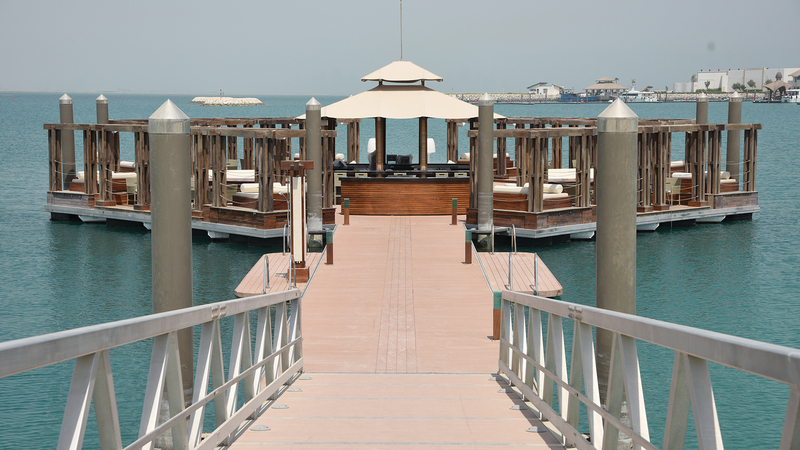 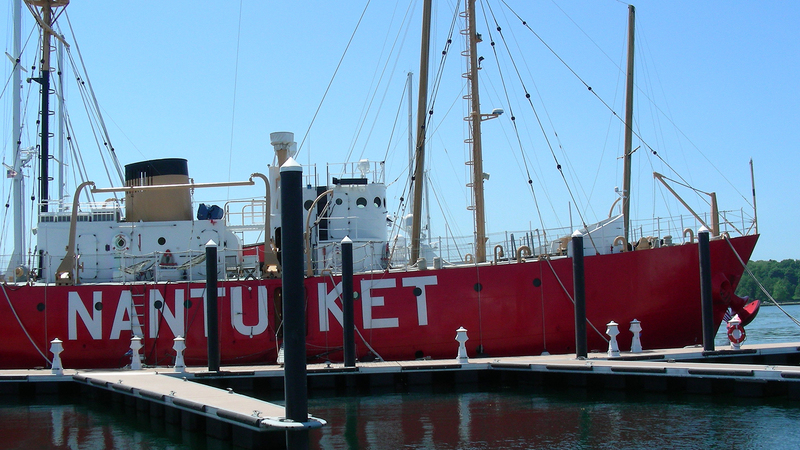 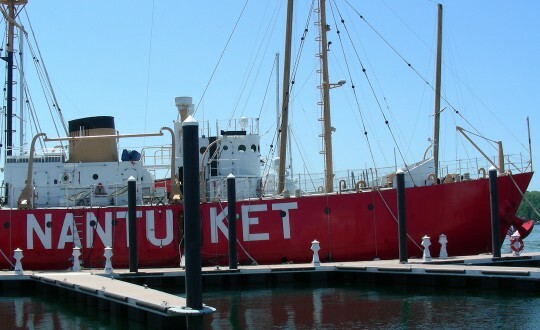 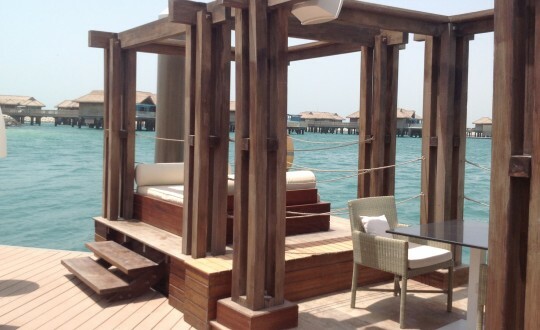 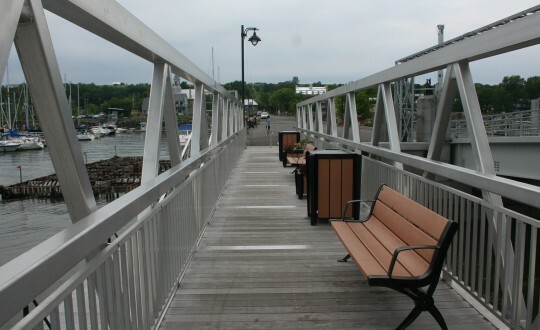 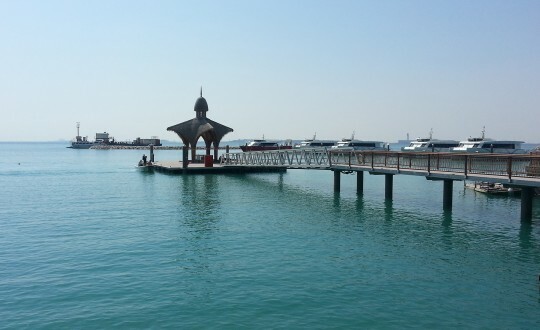 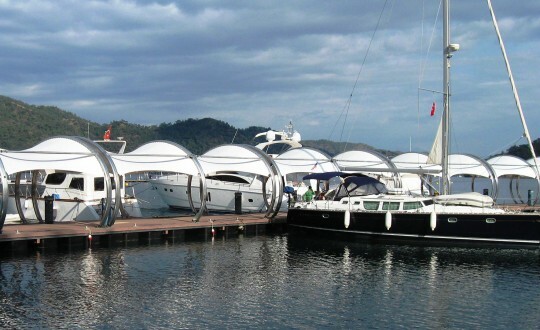 To accommodate pleasure and commercial crafts ranging from 20 to over 250 feet. 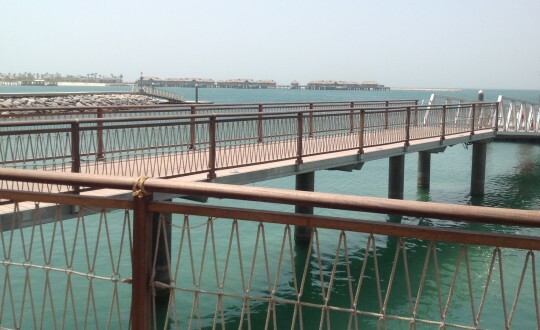 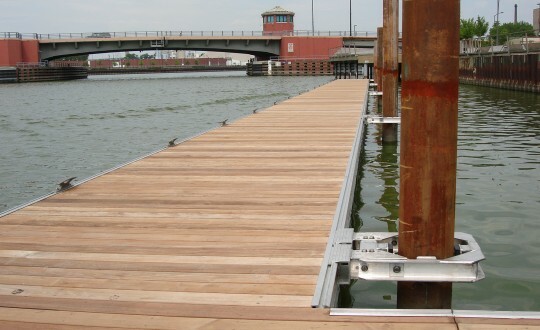 To replace existing fixed piers or for a new project. 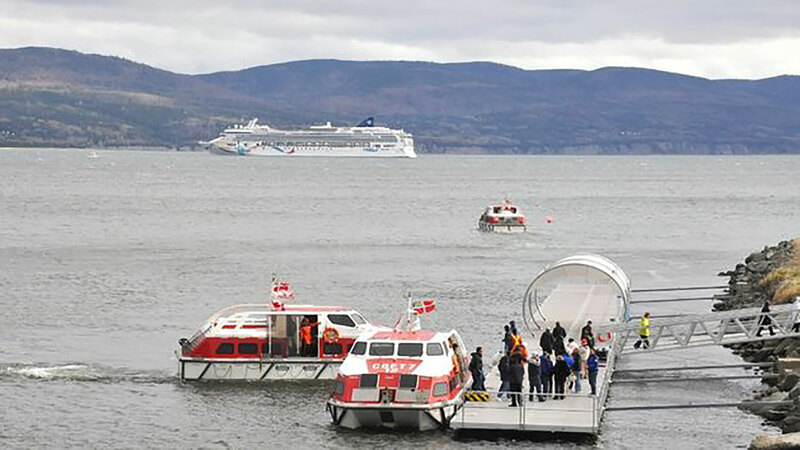 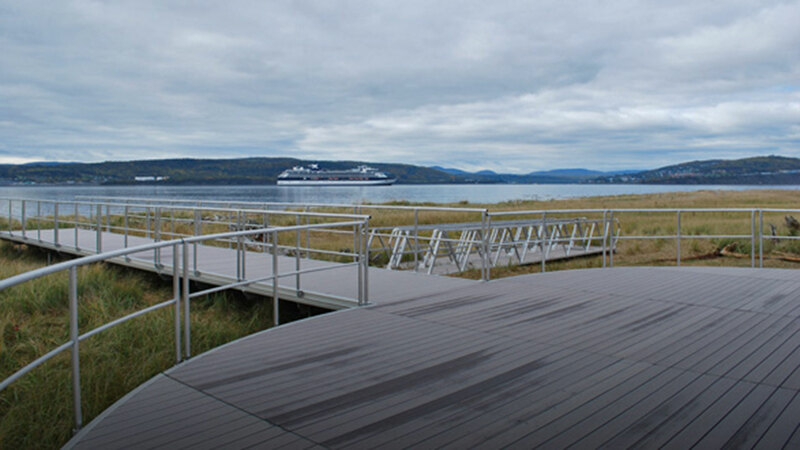 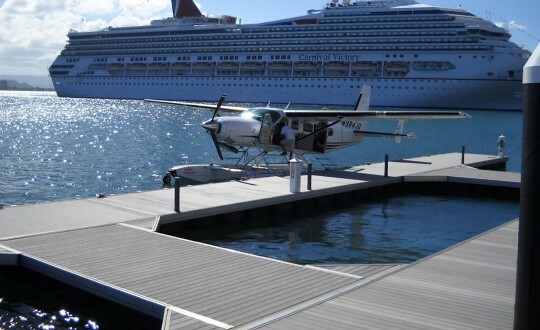 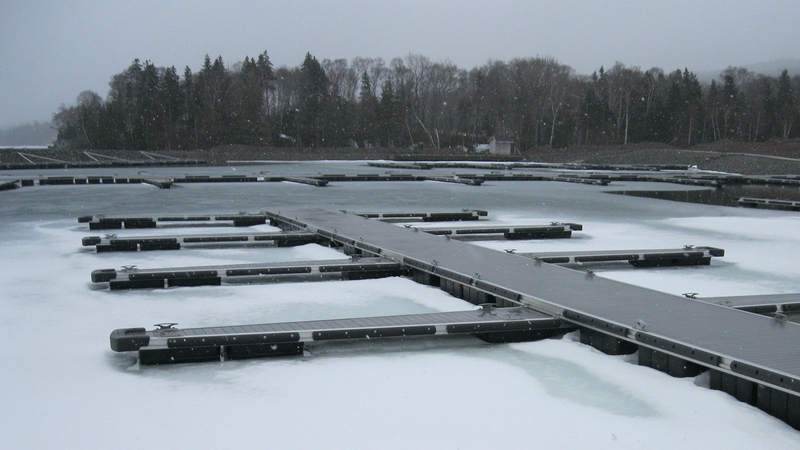 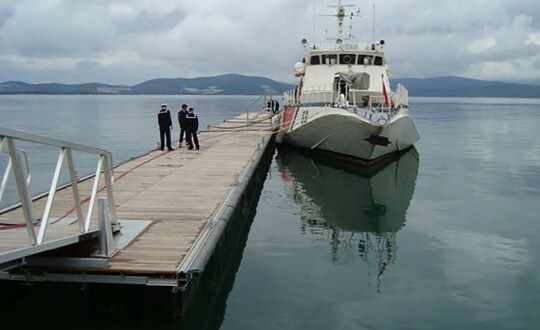 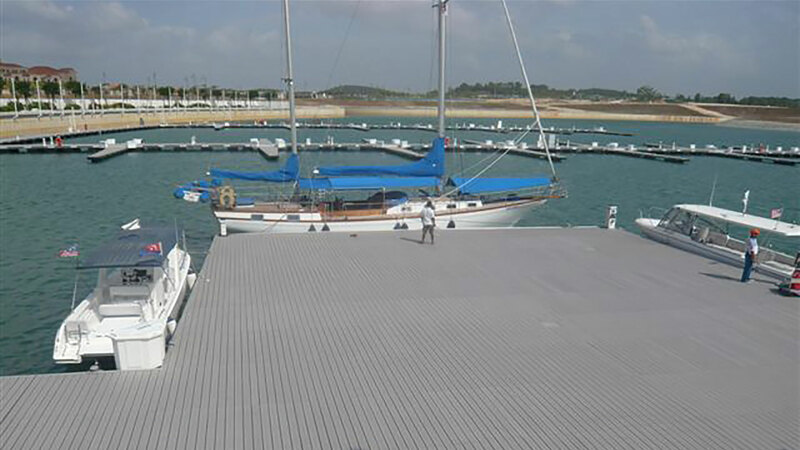 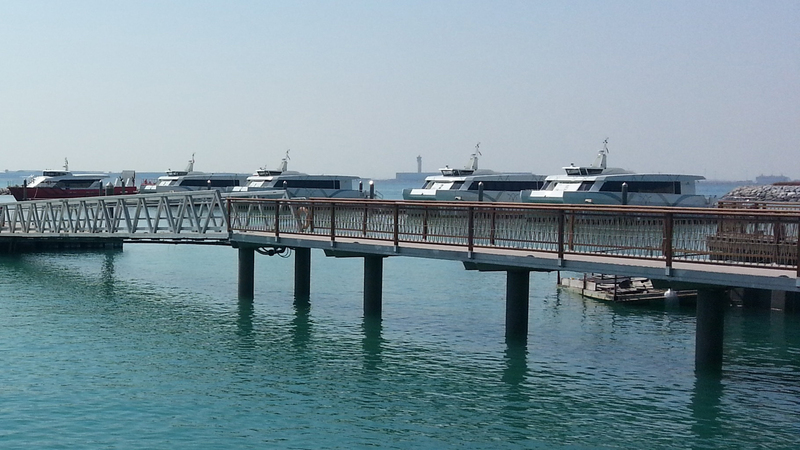 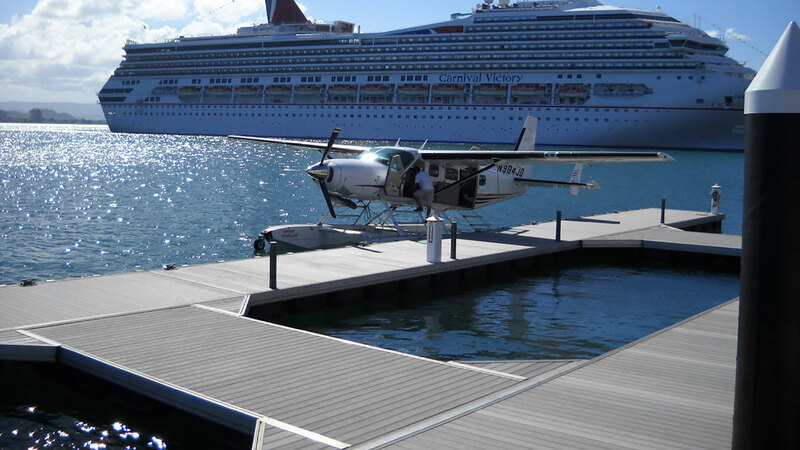 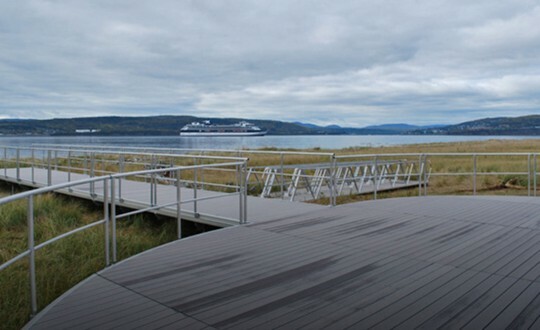 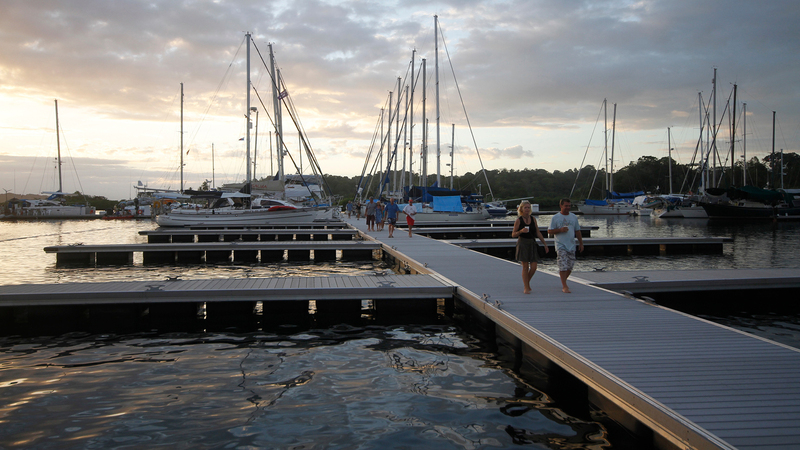 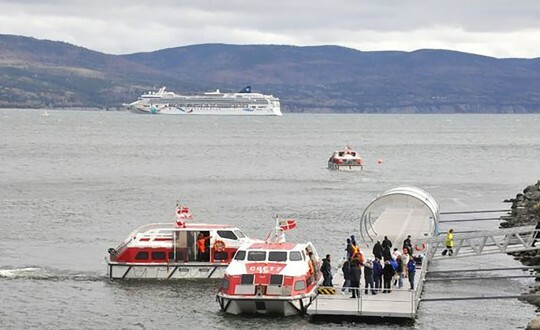 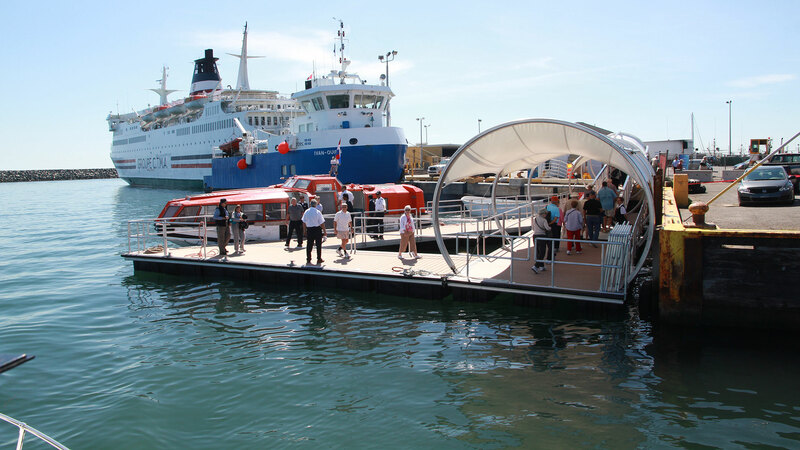 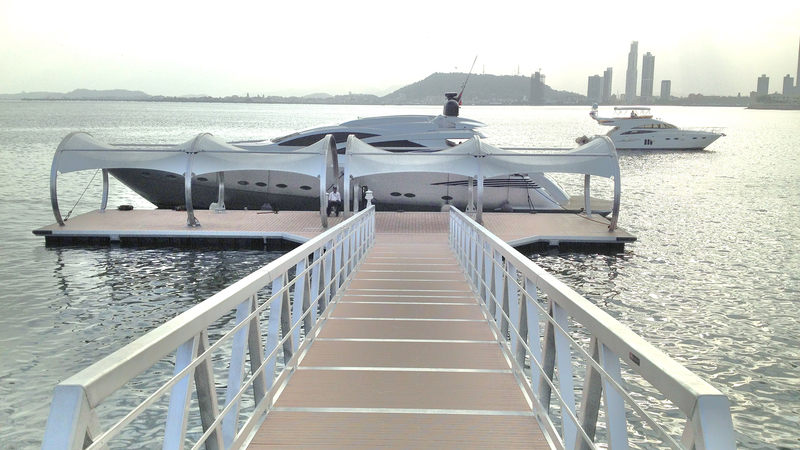 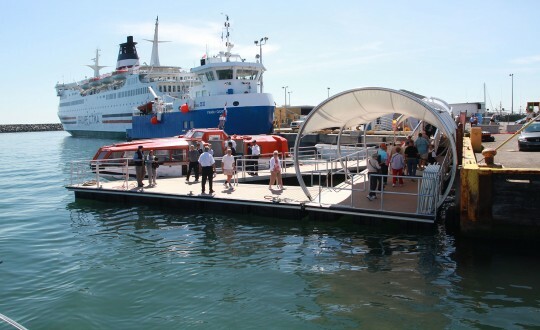 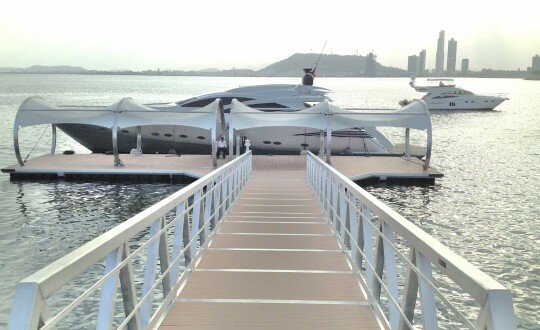 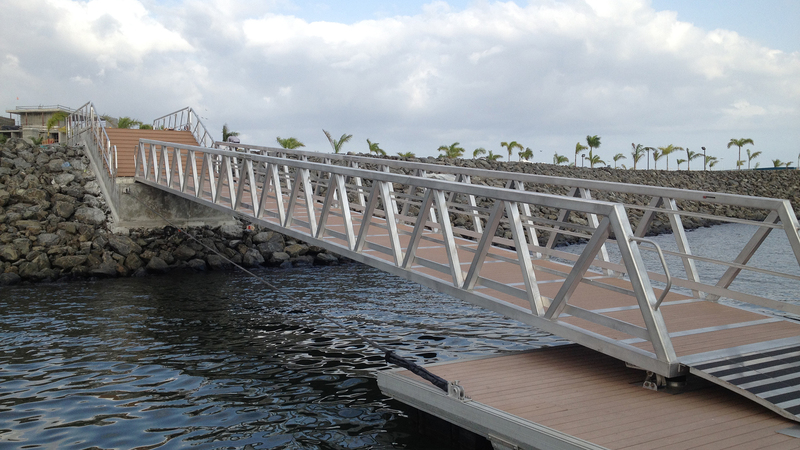 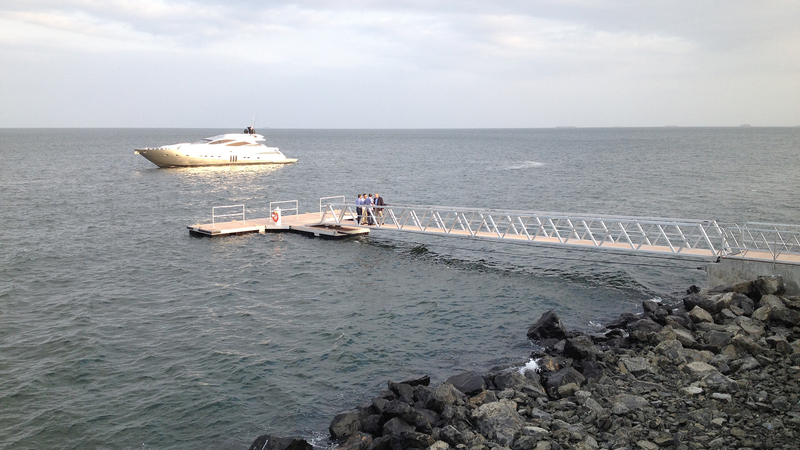 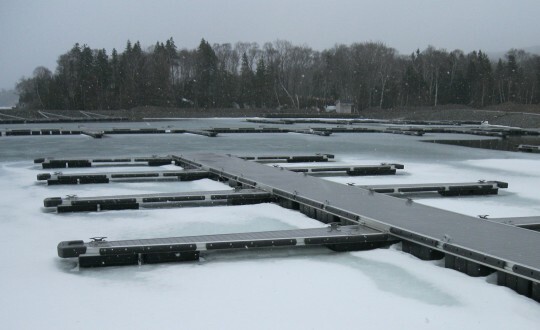 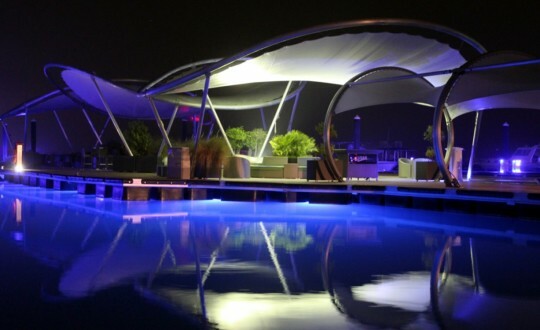 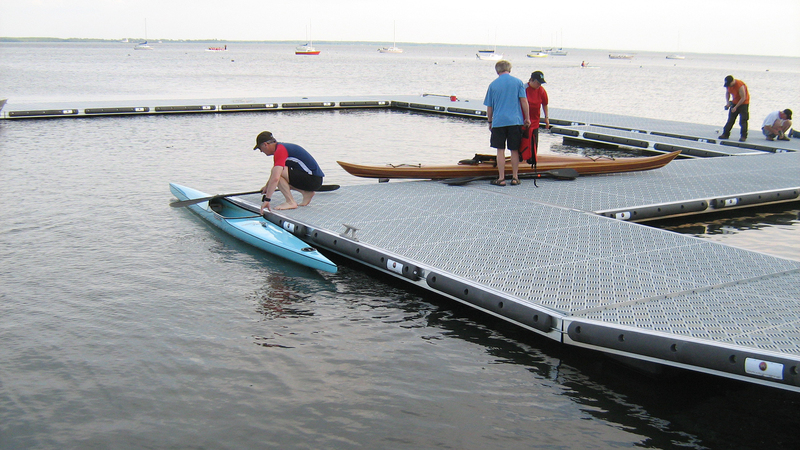 Floating pontoons engineered to respond to the growing needs for safe, stable, modern berthing and boarding facilities. 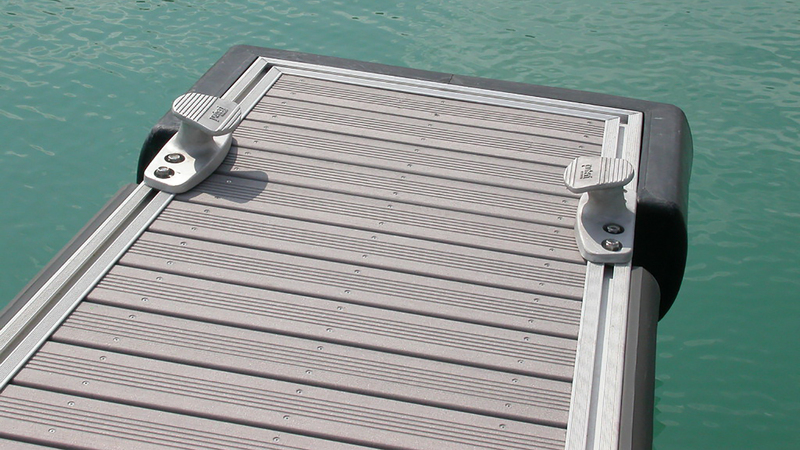 The anchoring is always developed to site specifics. 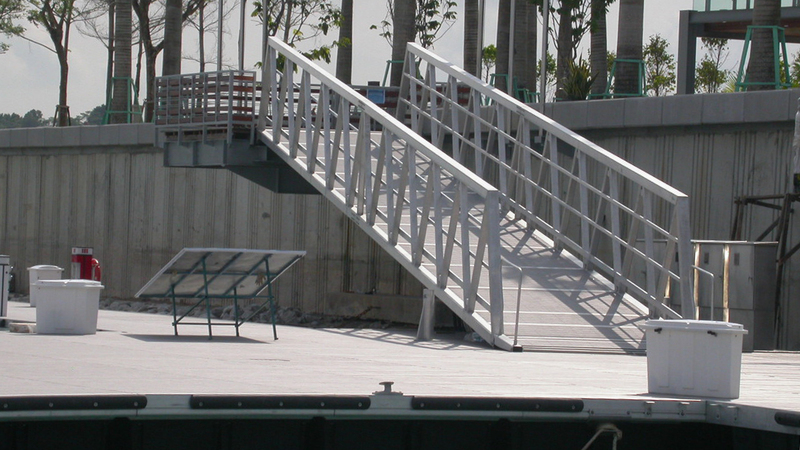 Optional: railings and textile architecture roof system. 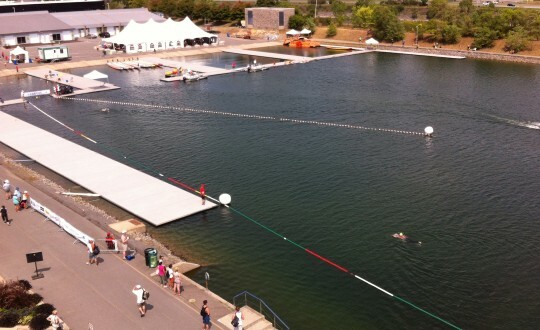 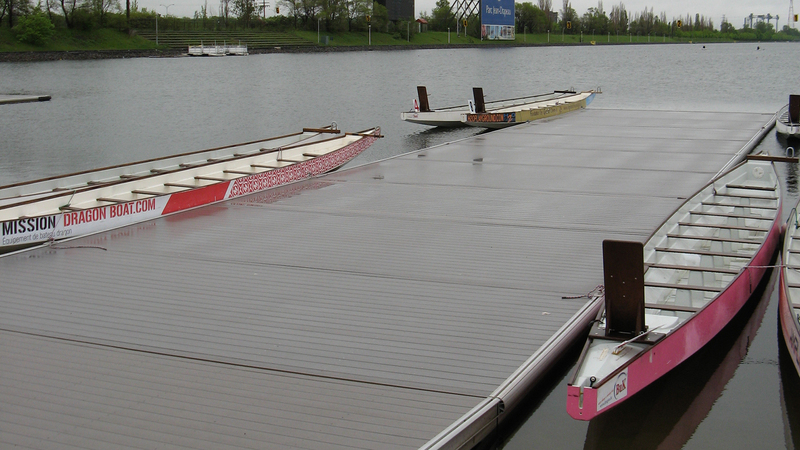 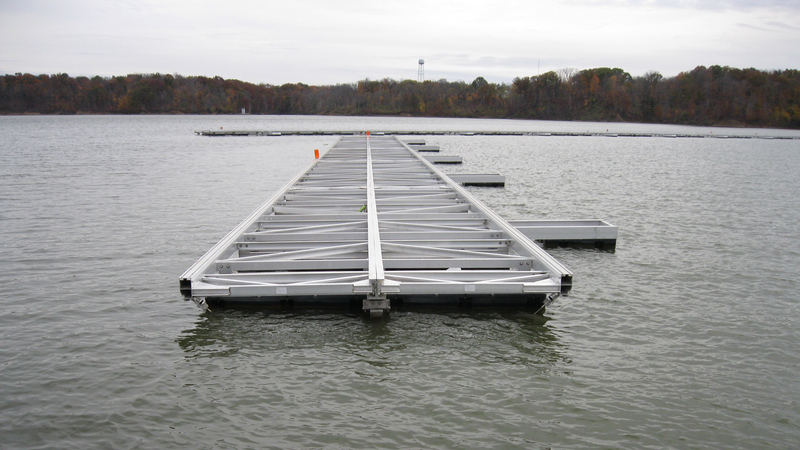 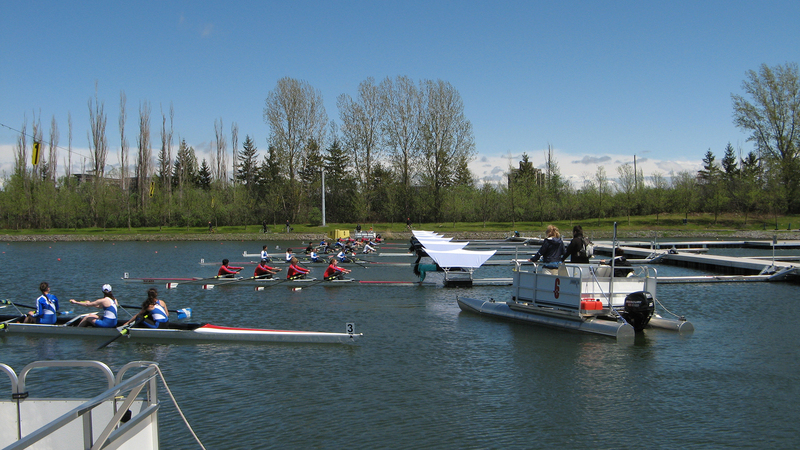 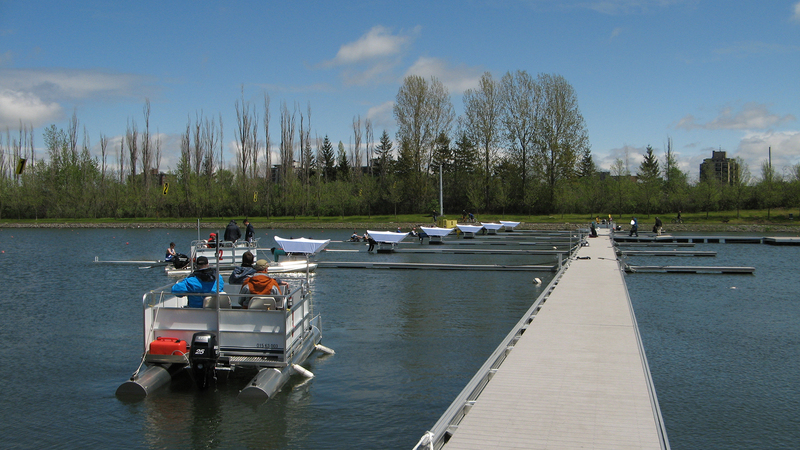 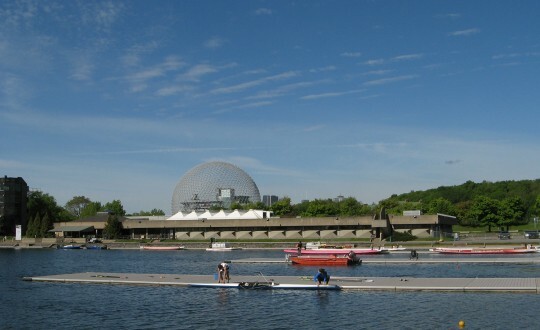 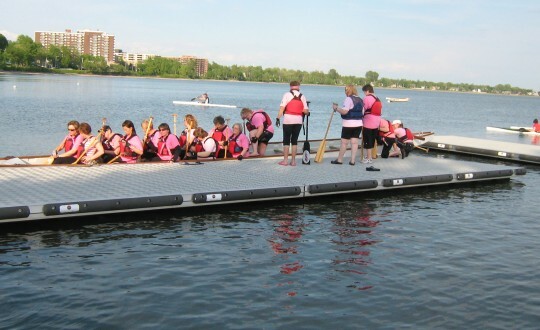 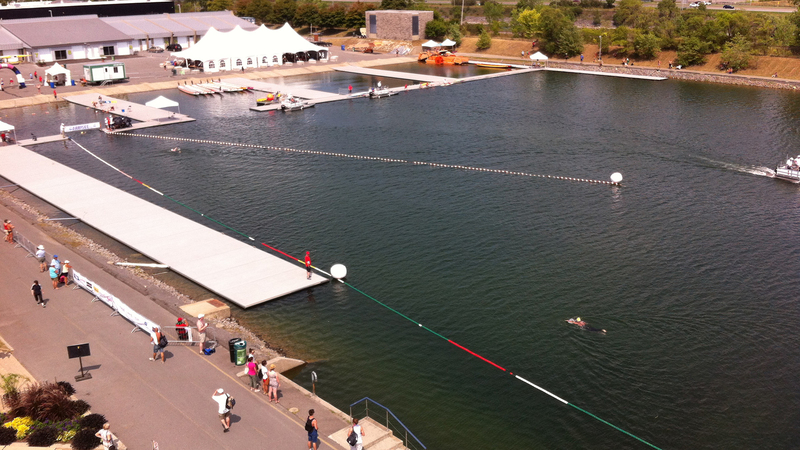 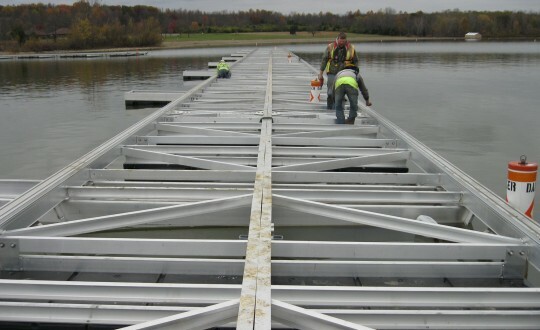 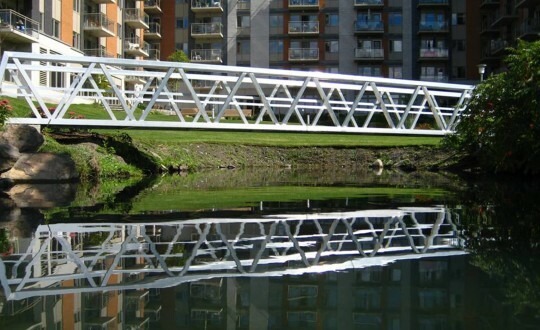 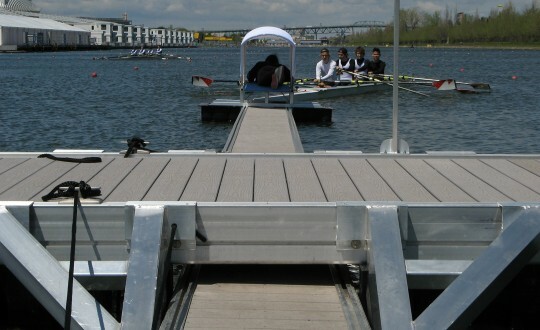 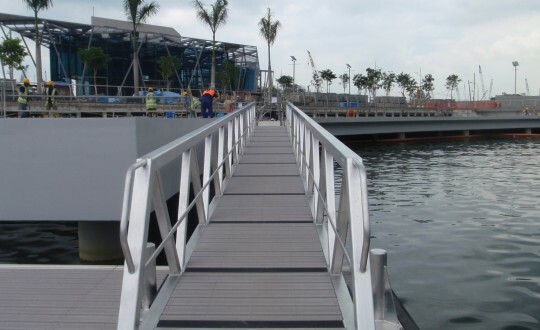 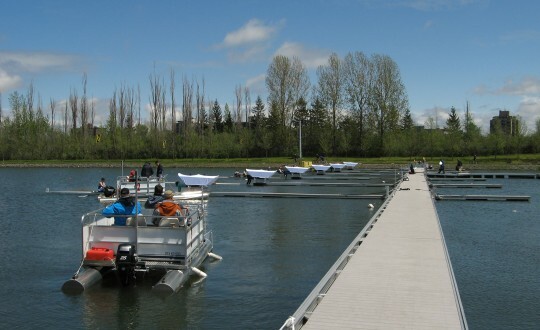 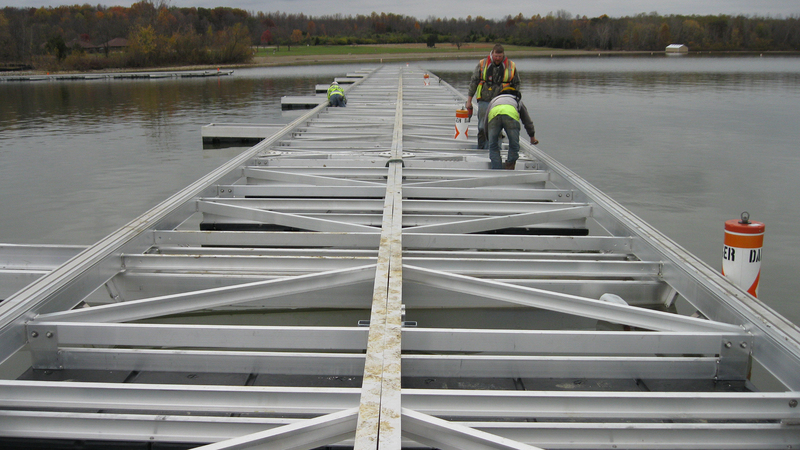 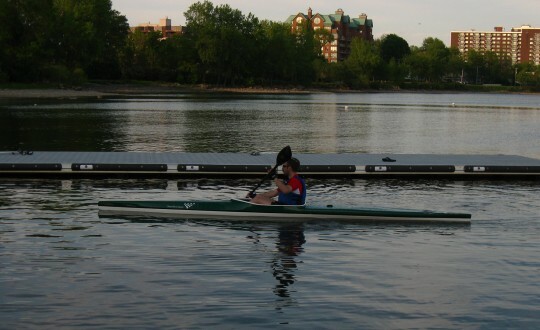 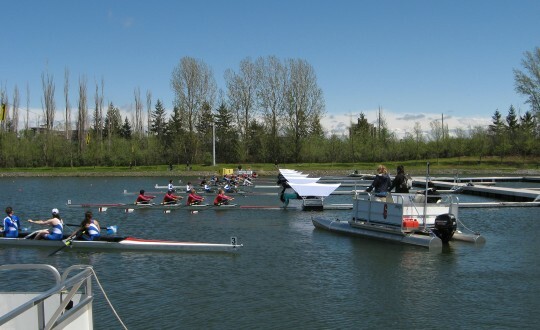 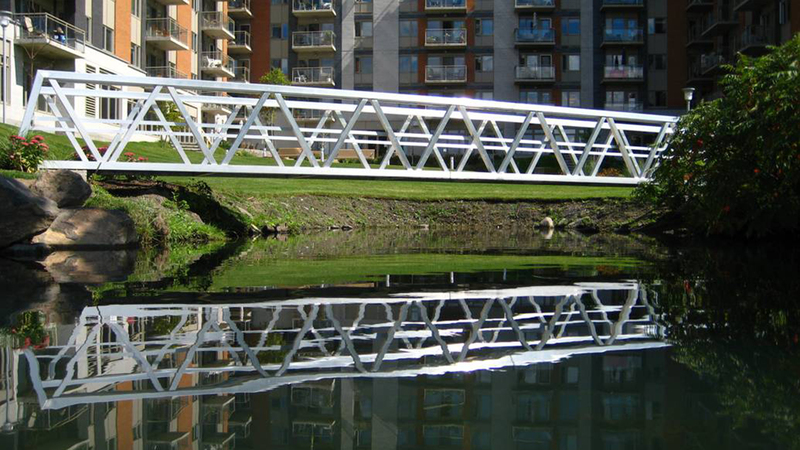 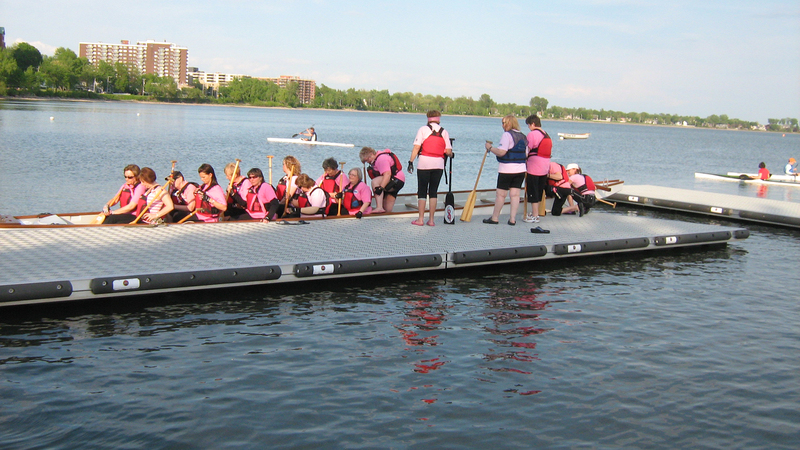 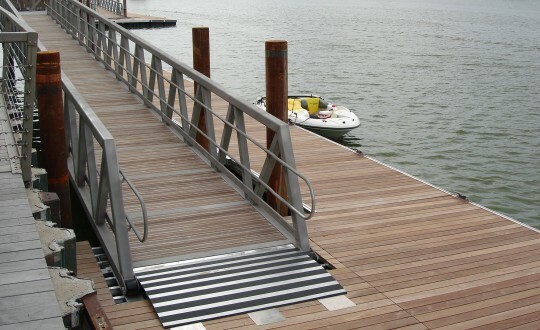 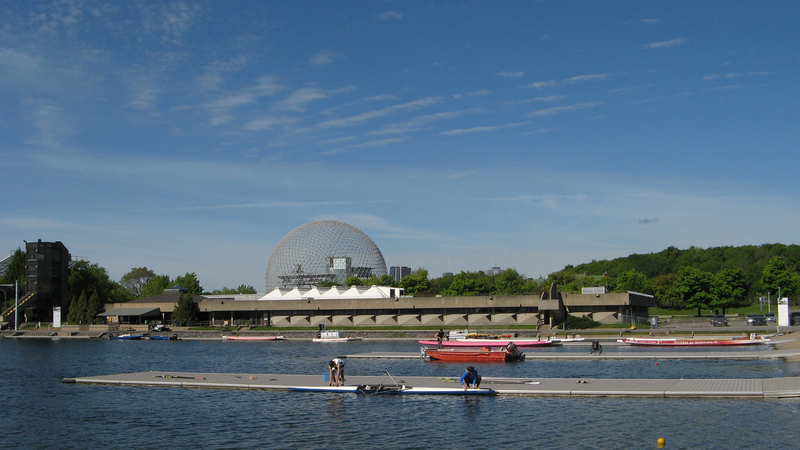 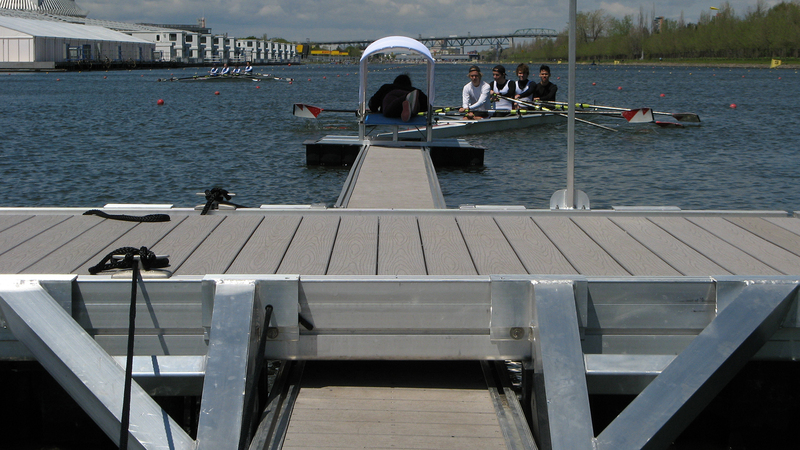 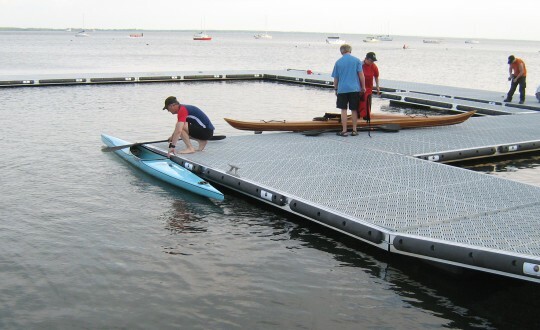 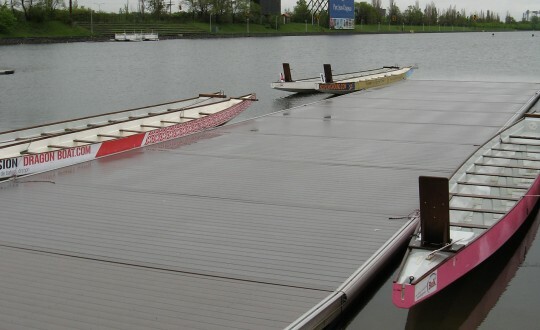 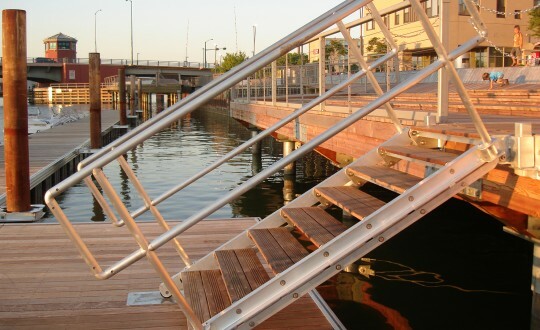 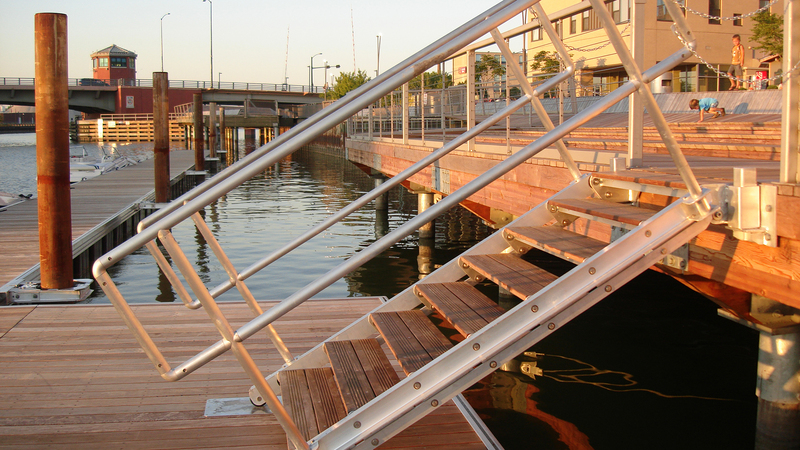 Very low freeboard pontoons engineered to accommodate the berthing of rowing boats in compliance with FISA (International Federation of Rowing Associations) rules and regulations. 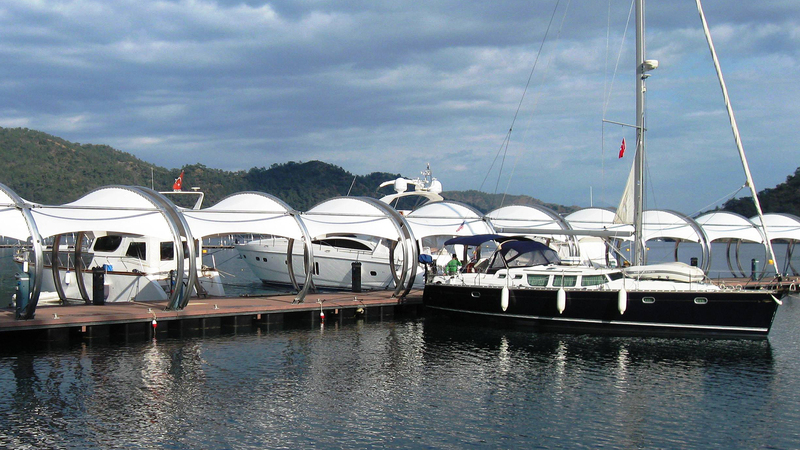 Flexible system for various configurations and uses. 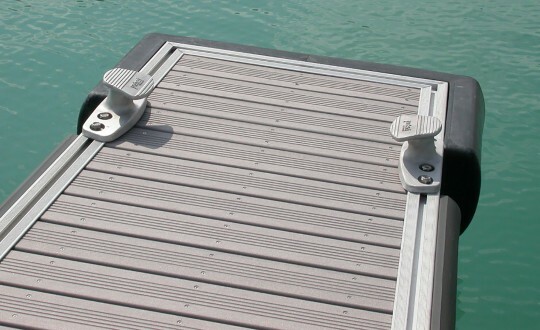 The anchoring is always designed to site specifics. 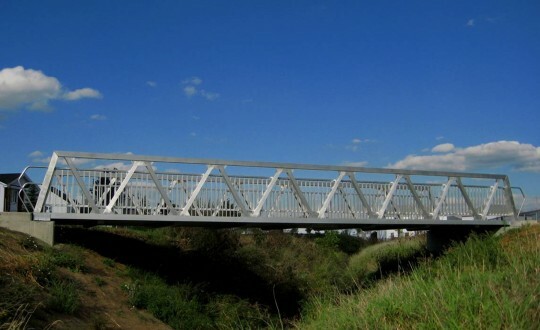 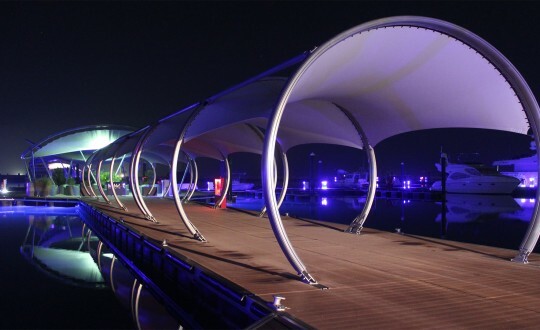 Series 105 Structural capacity from 4.0 kN/m² to 4.8 kN/m2 (80 to 100 psf) up to 40 m (130 ft) for rough services and public access. 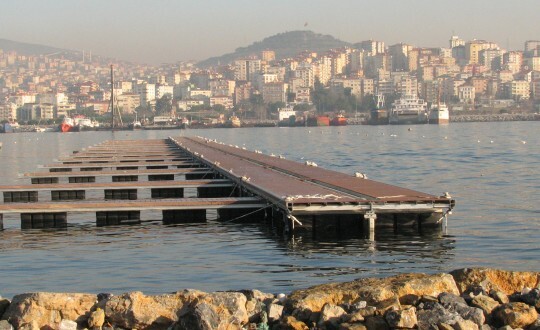 Fixed, floating or movable. 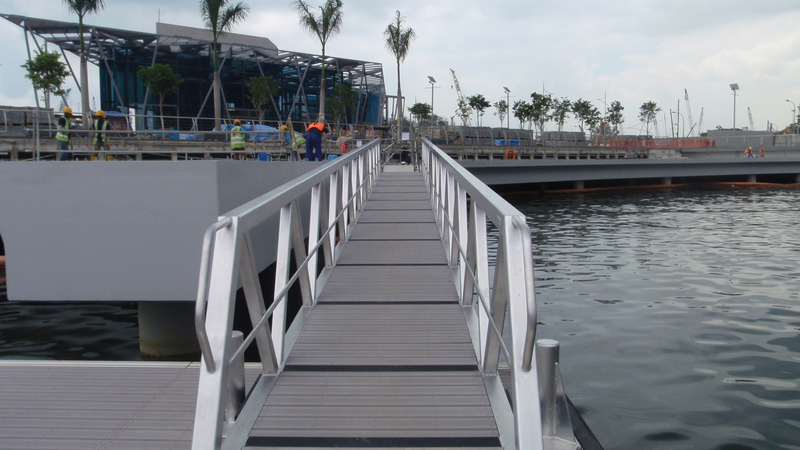 Aluminium alloy construction. 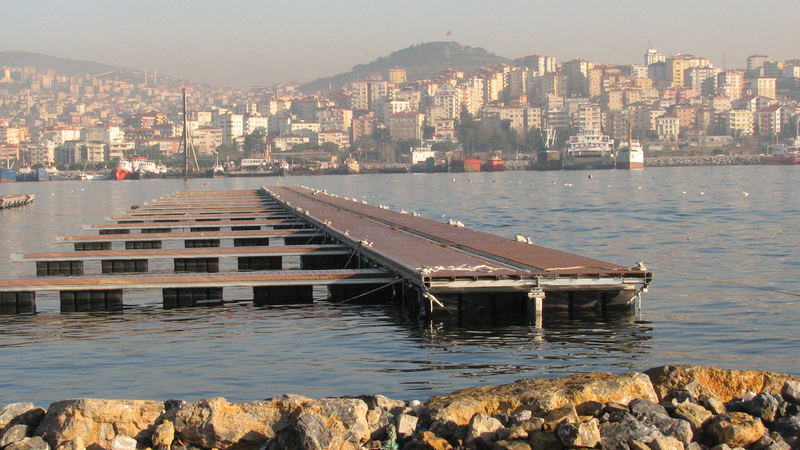 Capacity of 5 kN/m². Length up to 40 m (130 ft) in one span. 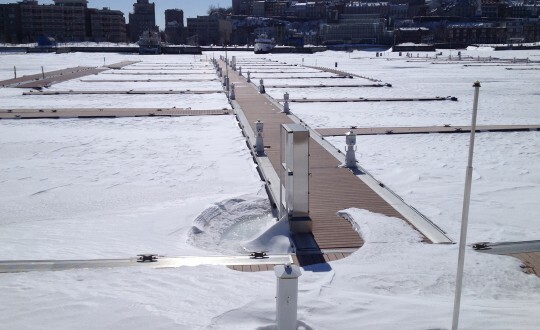 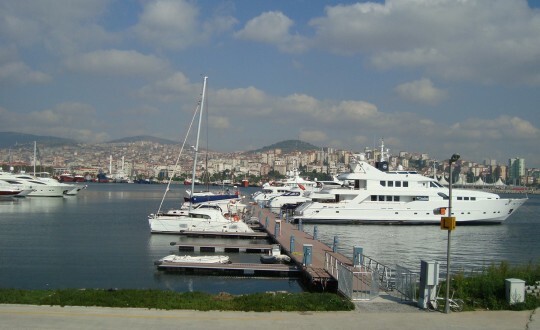 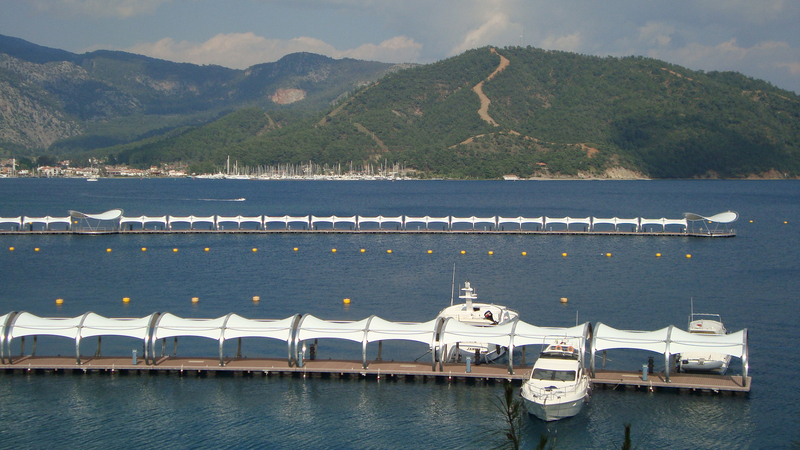 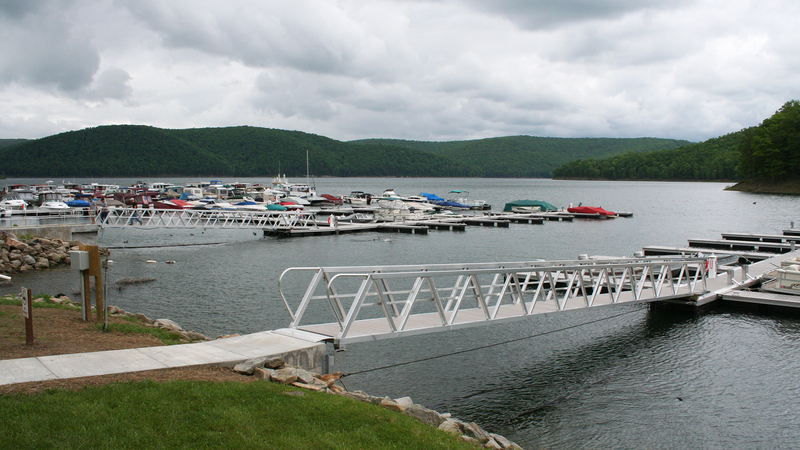 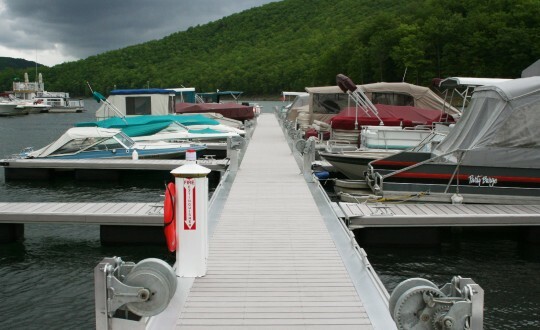 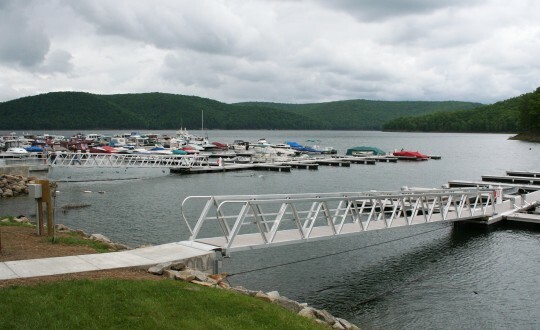 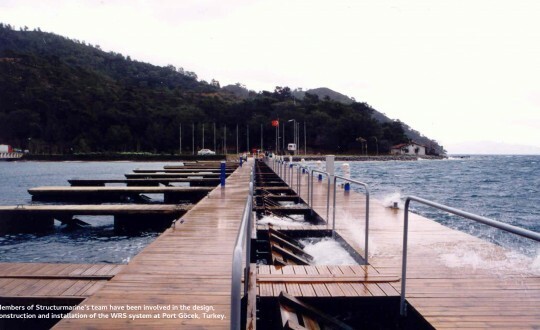 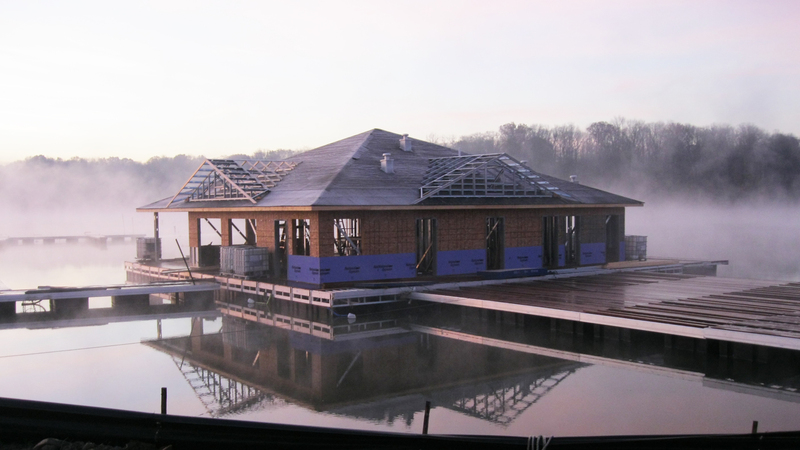 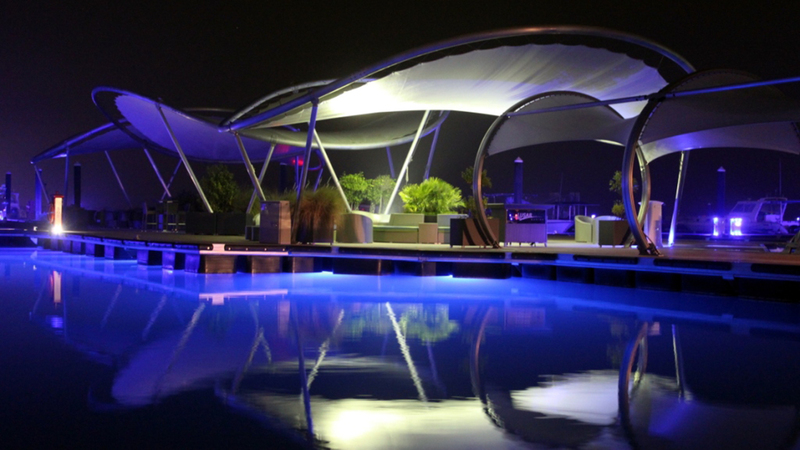 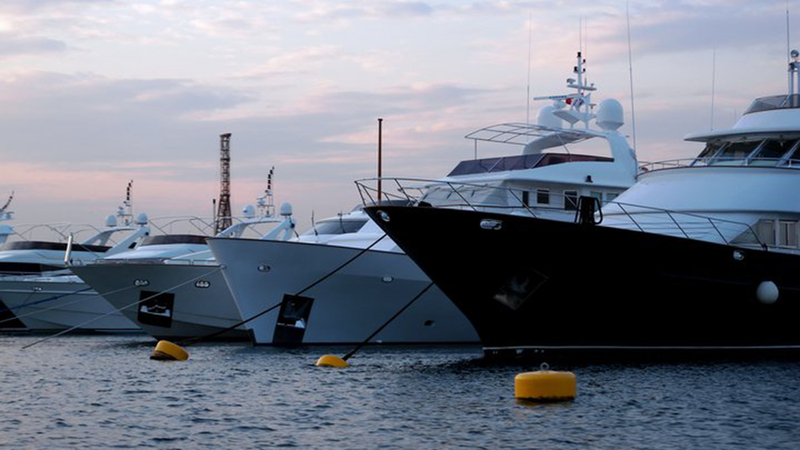 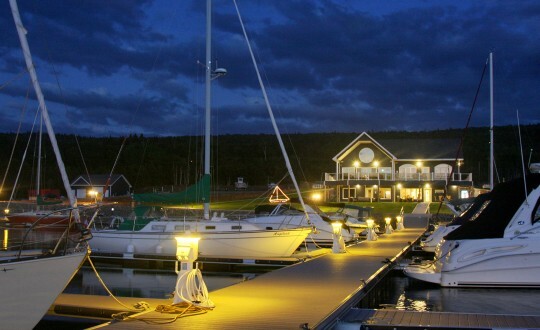 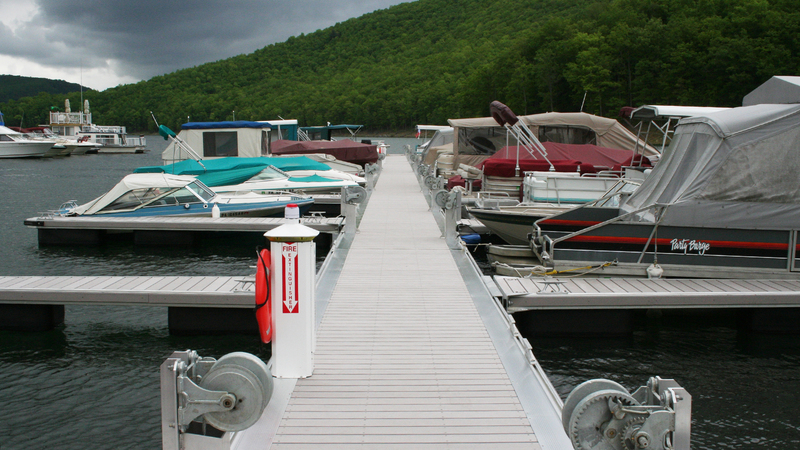 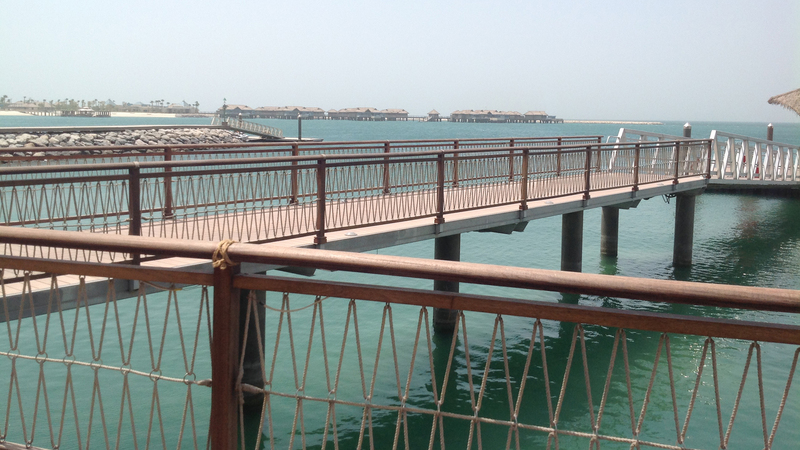 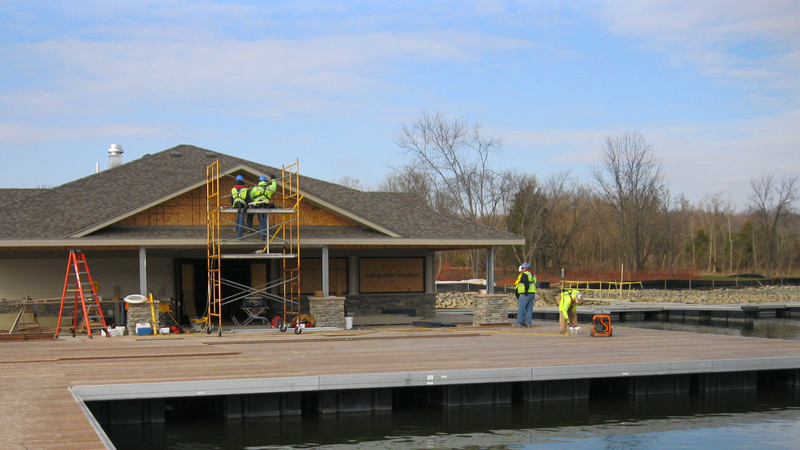 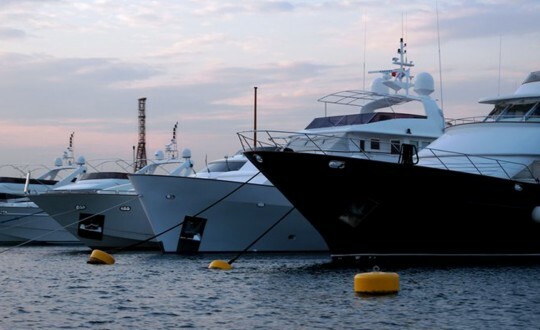 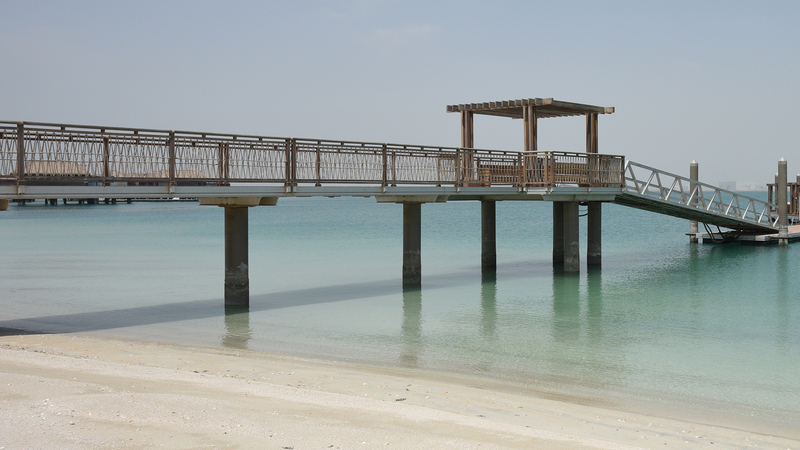 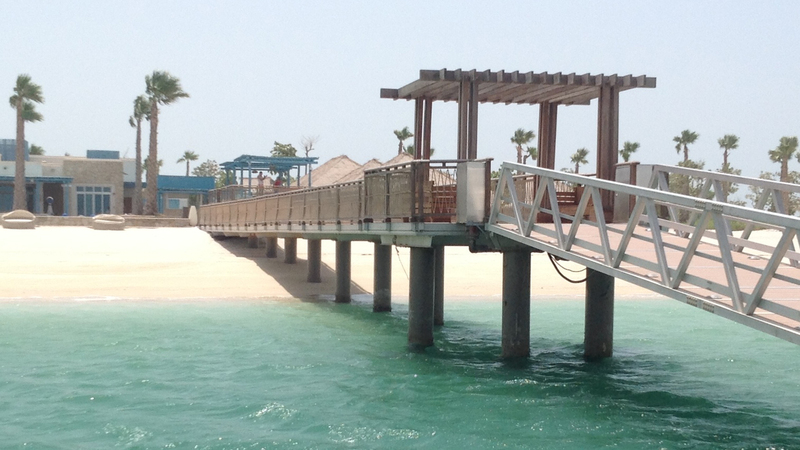 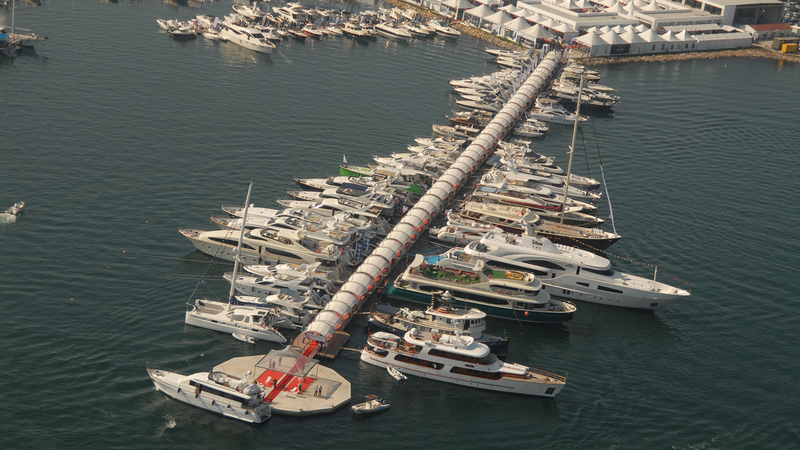 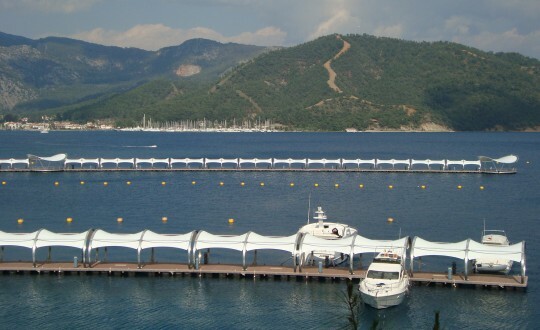 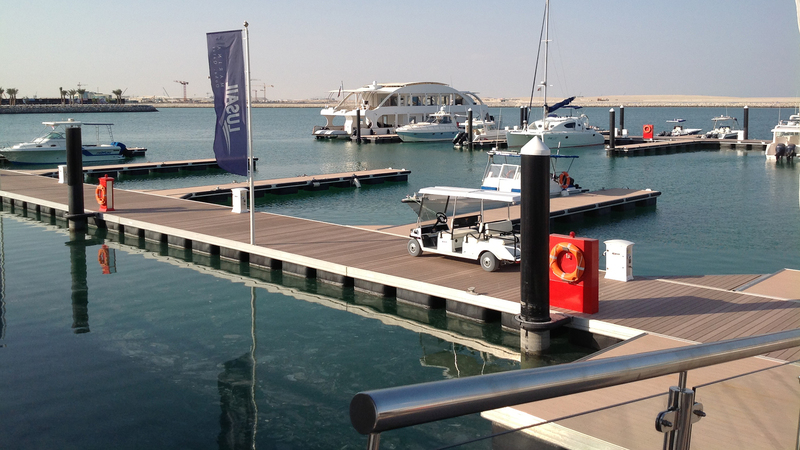 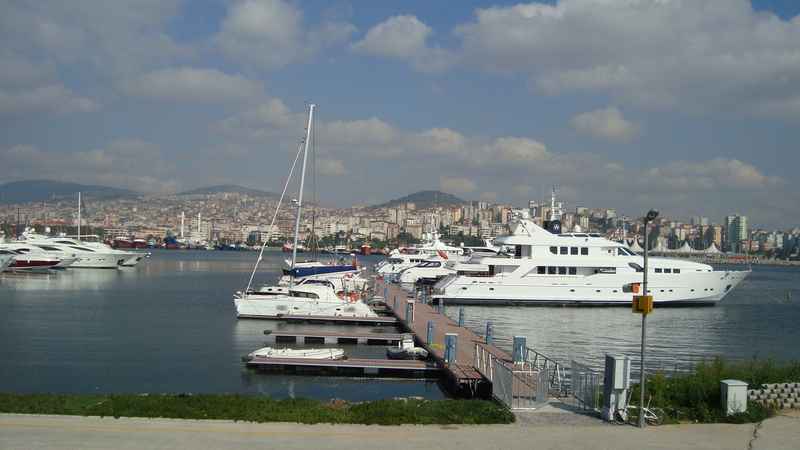 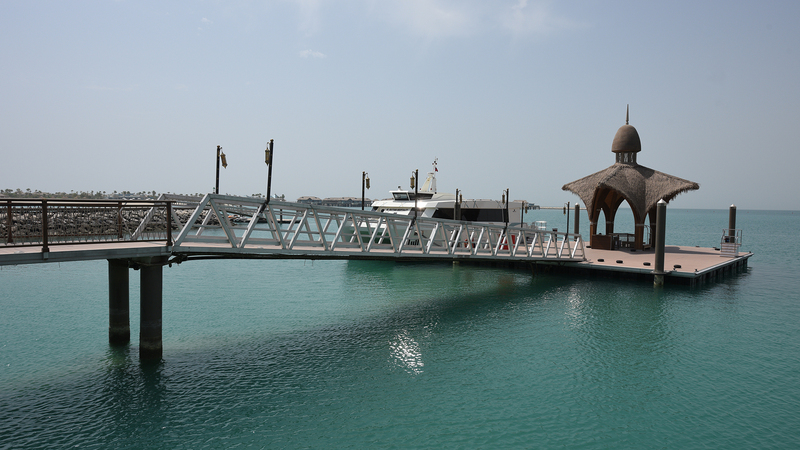 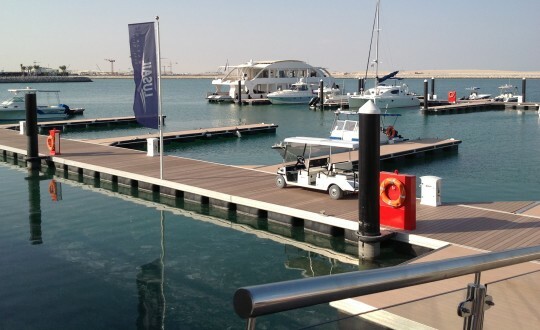 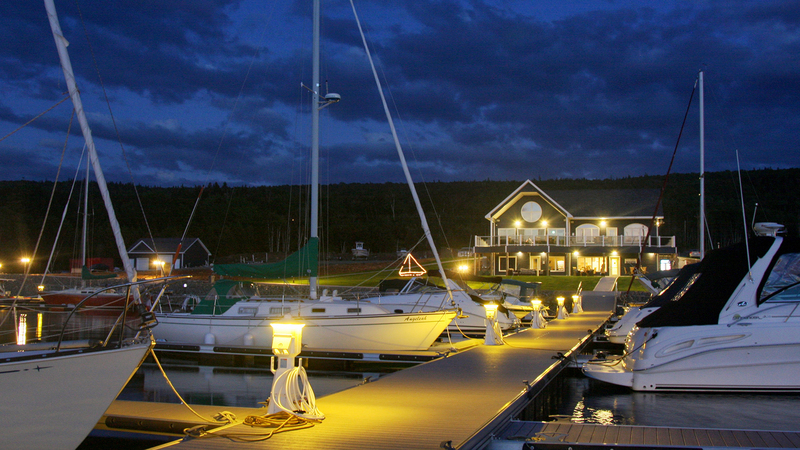 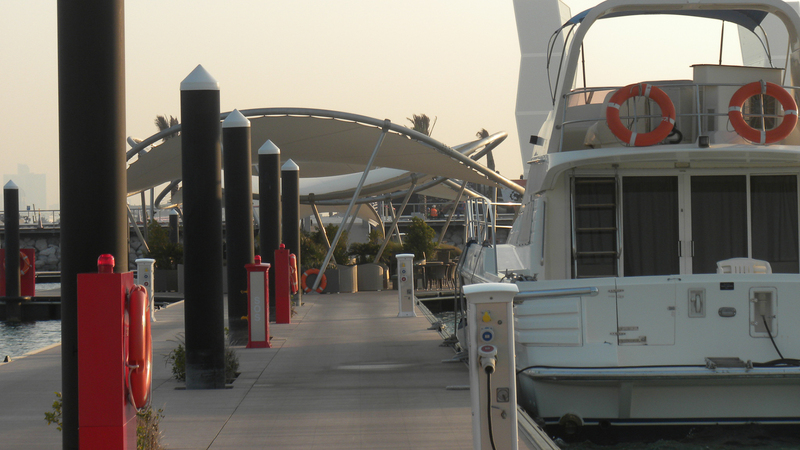 Locations formerly inhospitable to construction of marinas are made serviceable through WRS technology. 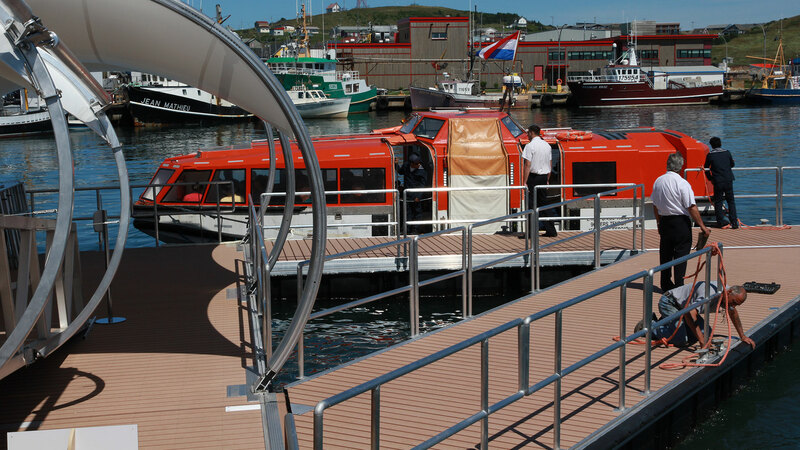 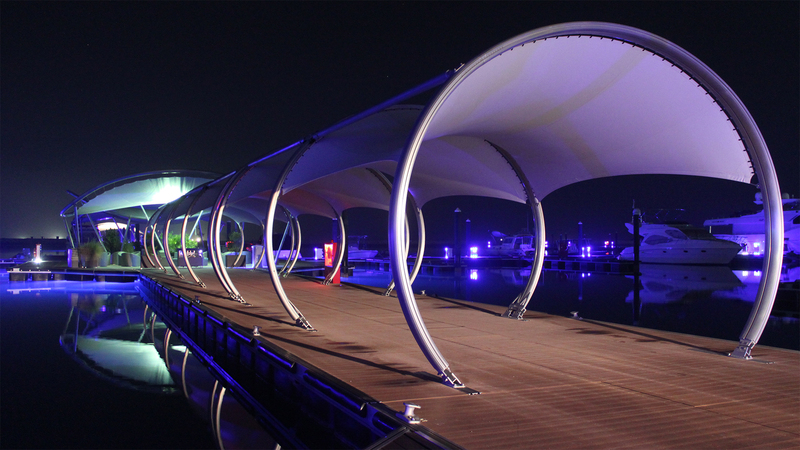 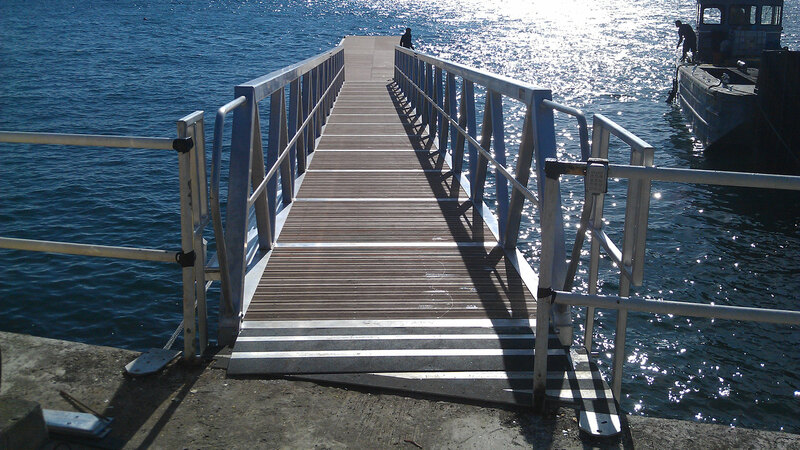 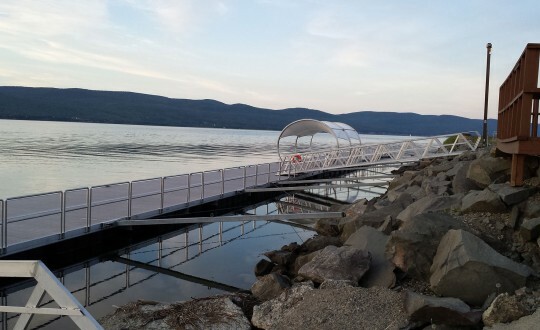 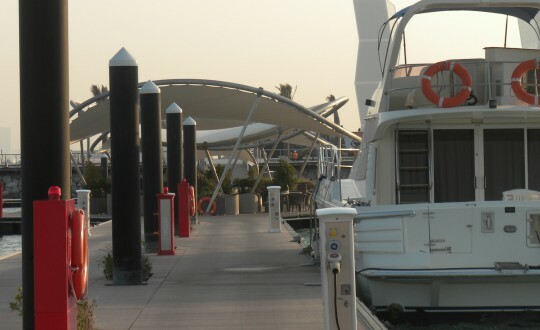 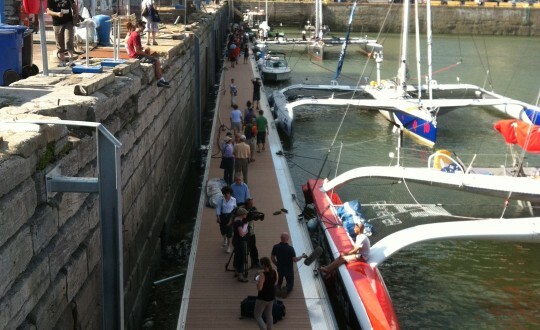 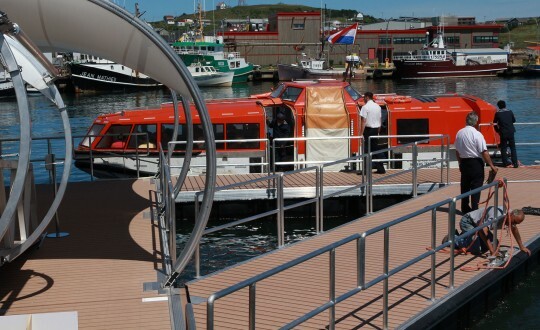 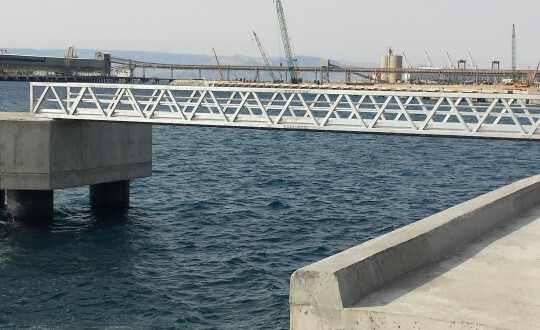 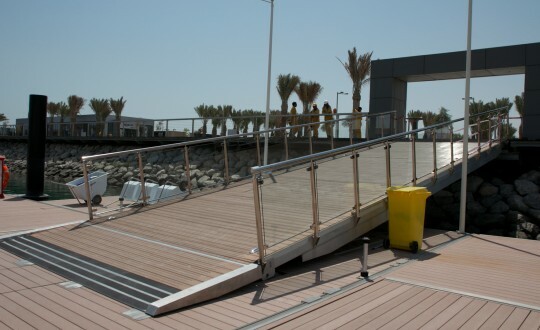 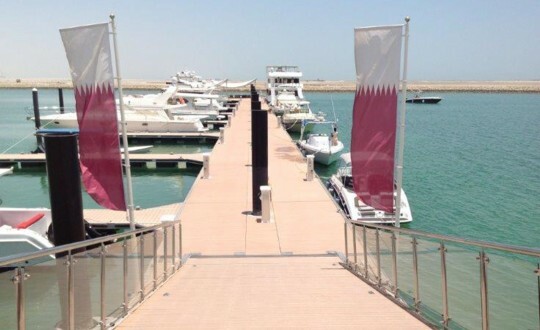 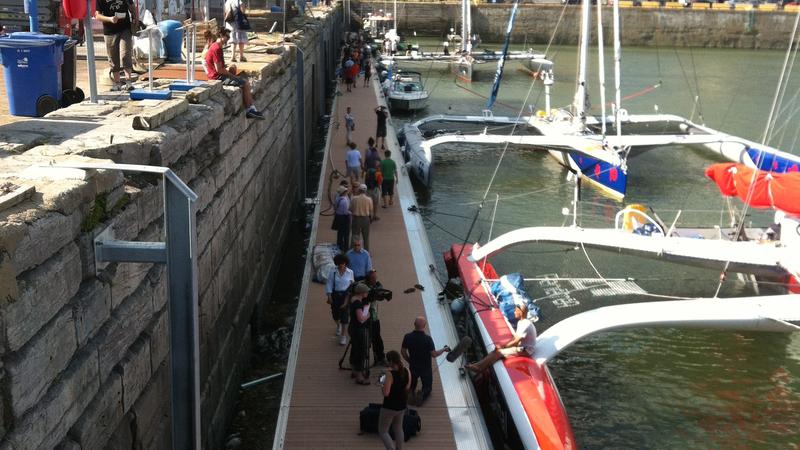 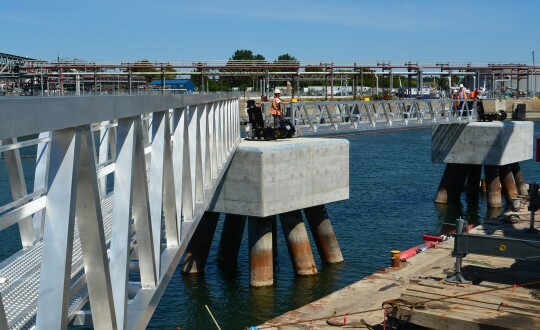 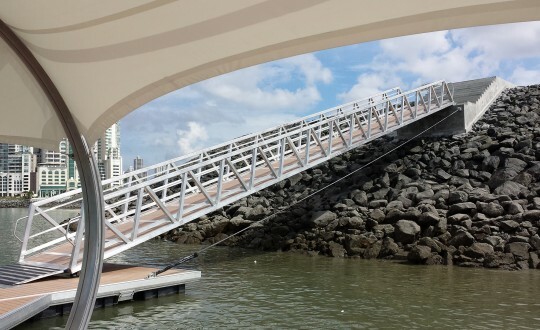 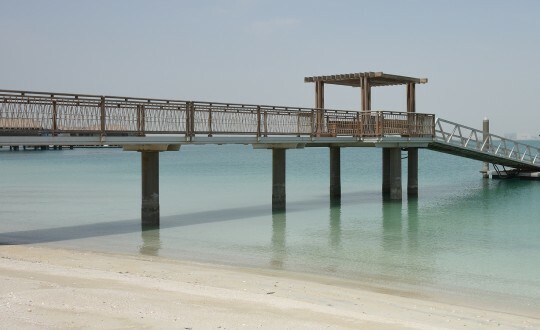 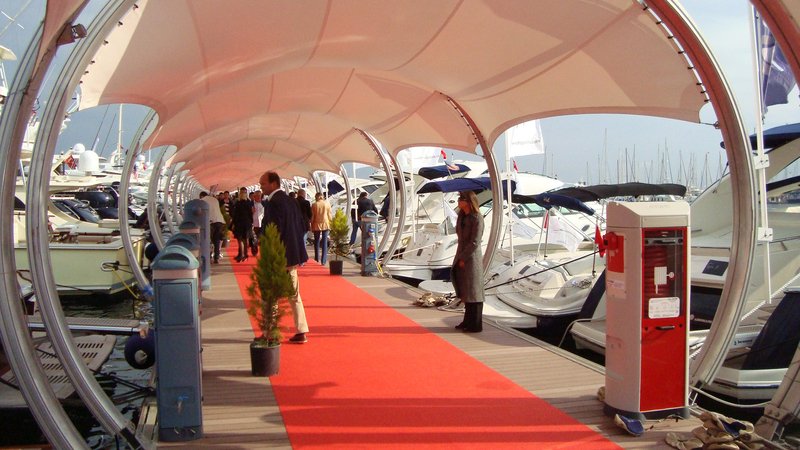 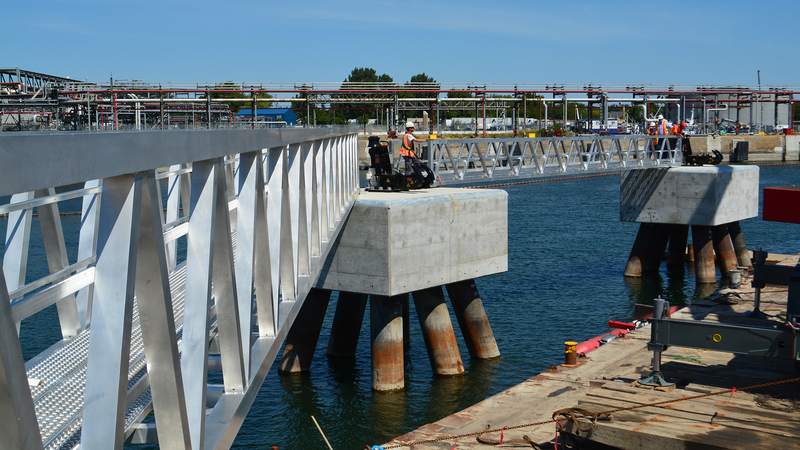 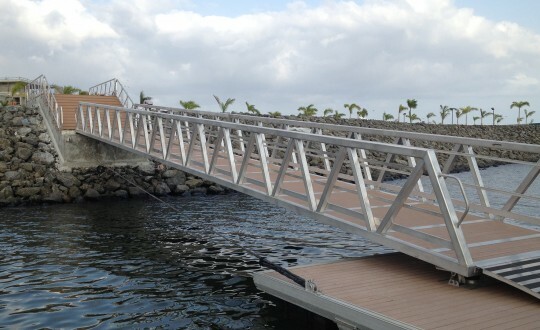 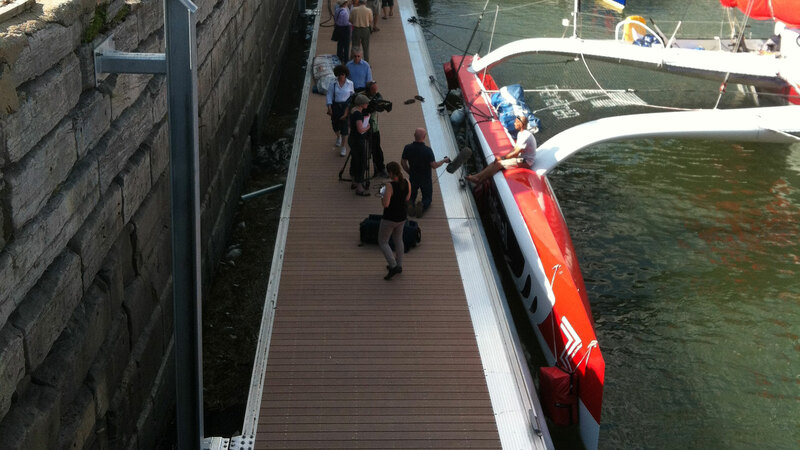 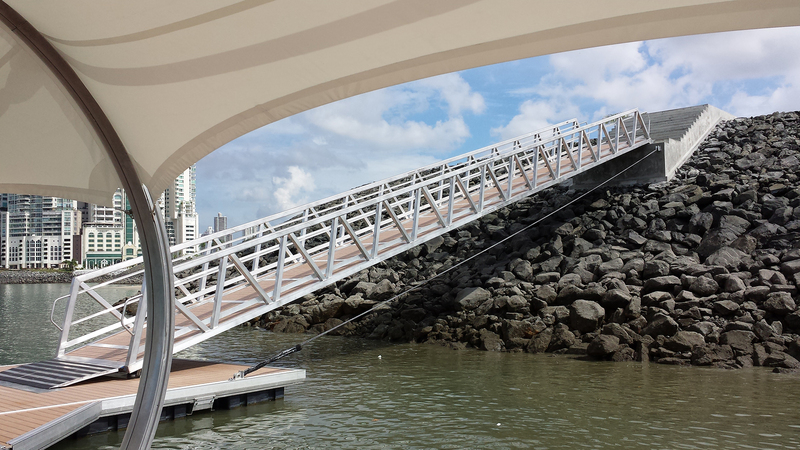 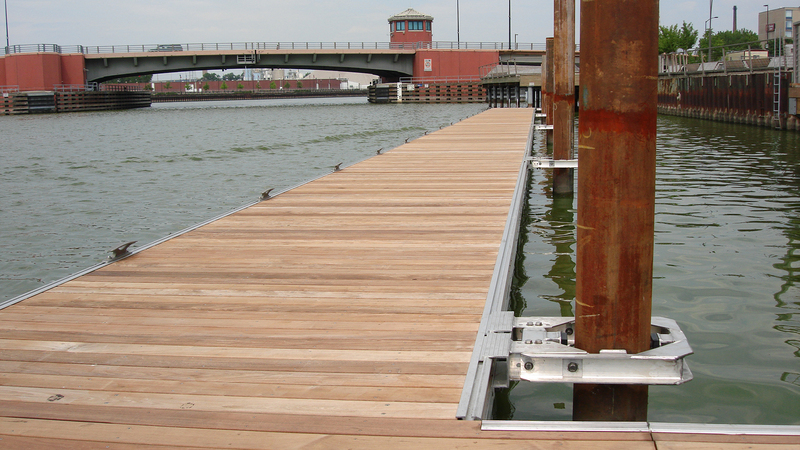 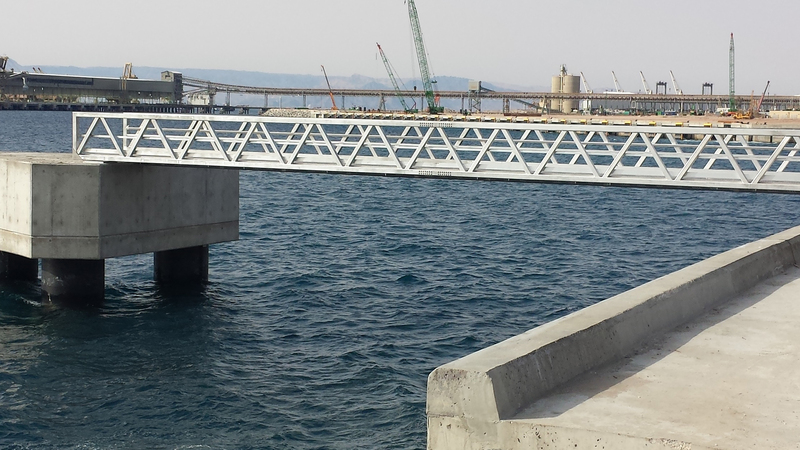 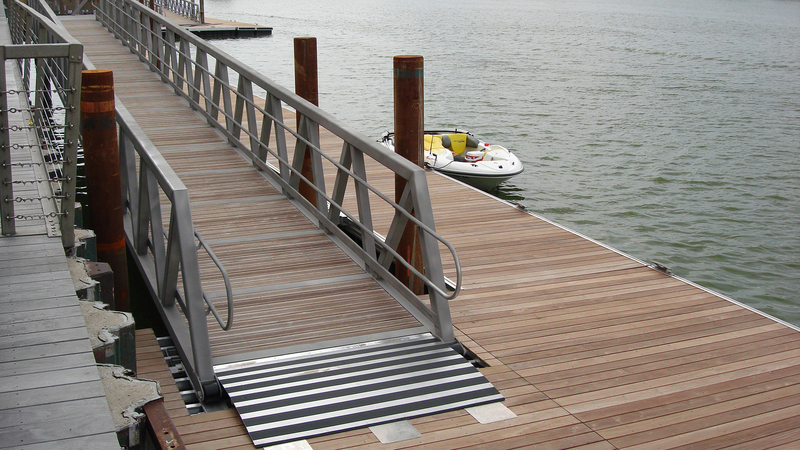 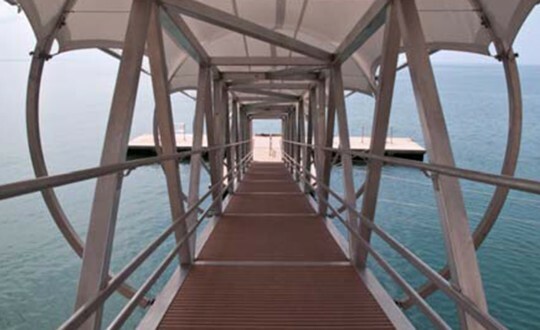 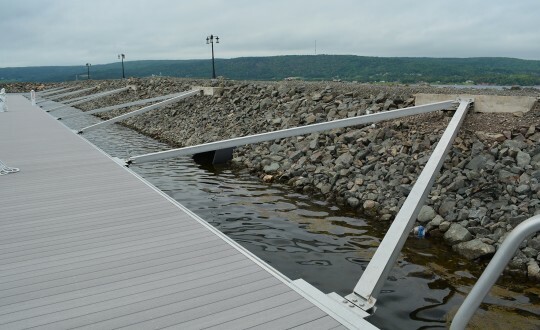 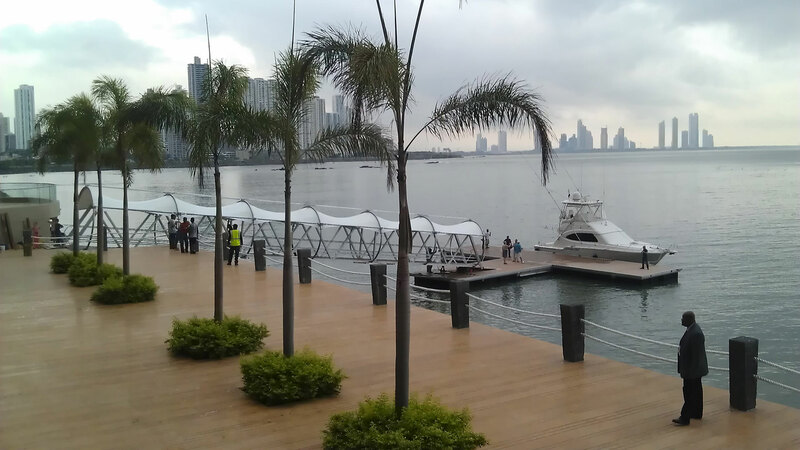 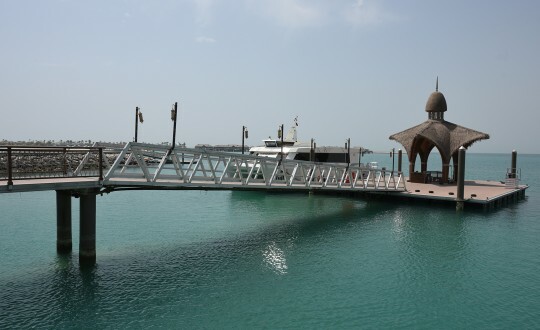 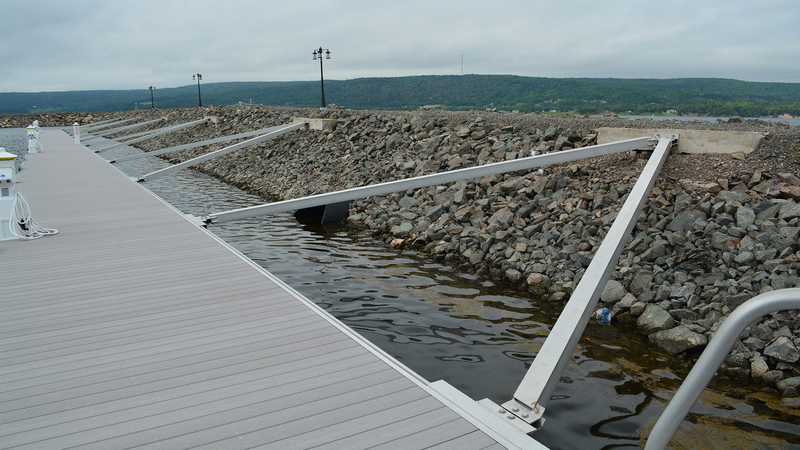 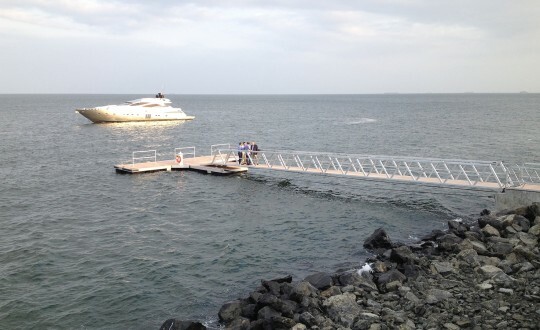 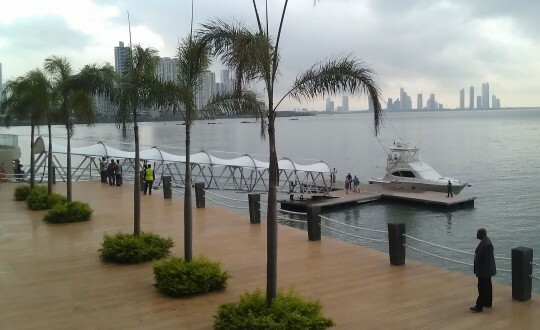 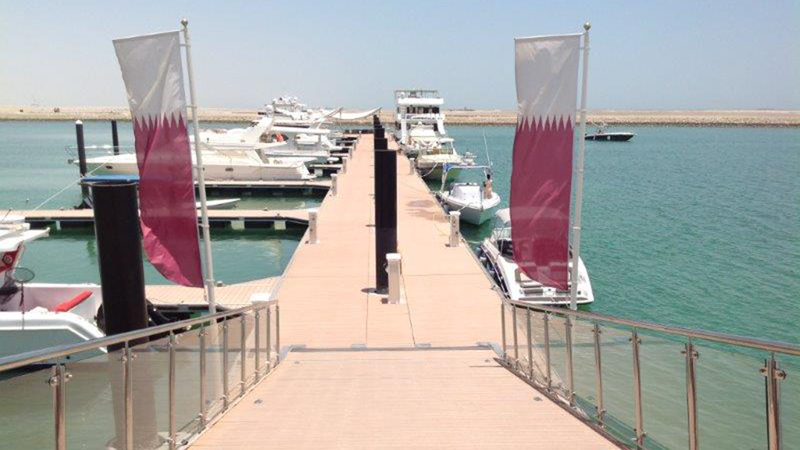 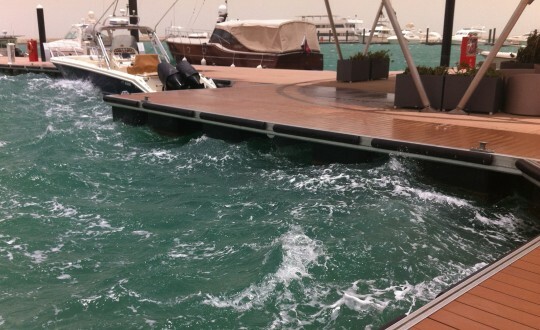 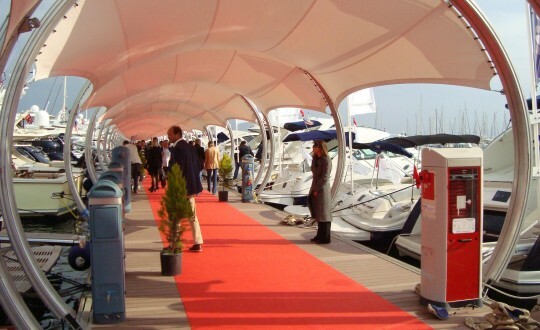 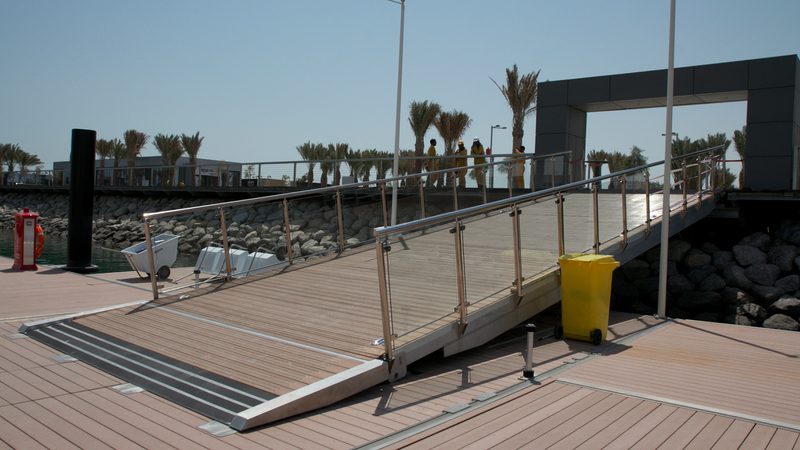 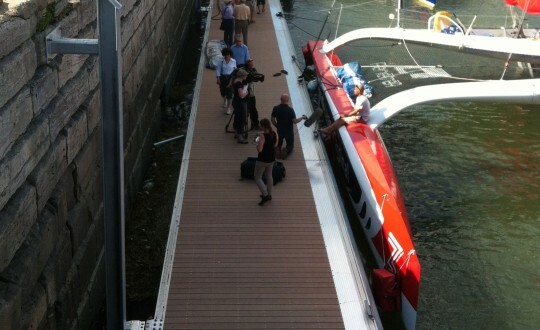 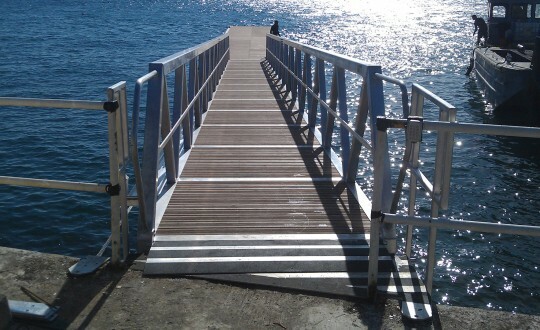 WRS facilitates the reduction of wave action inside the marina to a comfortable wave height of 300 mm (1 ft) on a regular basis and can successfully attenuate the occasional 600 mm (2 ft) waves. 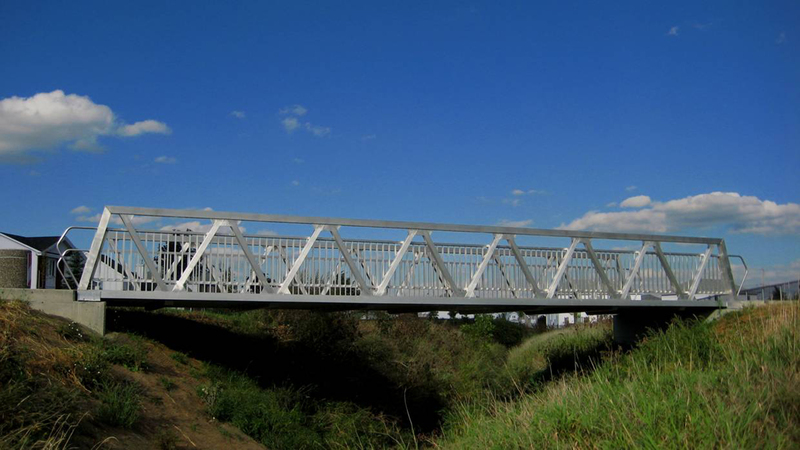 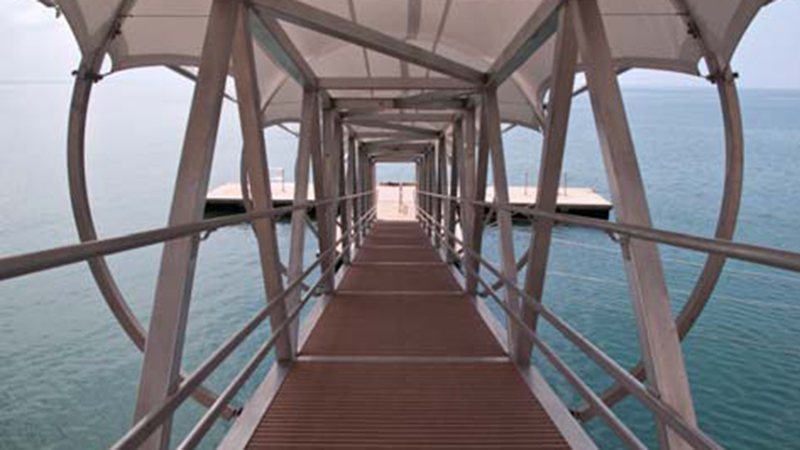 In a site specific design, we will assist you in selecting the appropriate WRS model for your project. (33% of the highest wave observed). Efficiency: Wave reduction up to 90%. 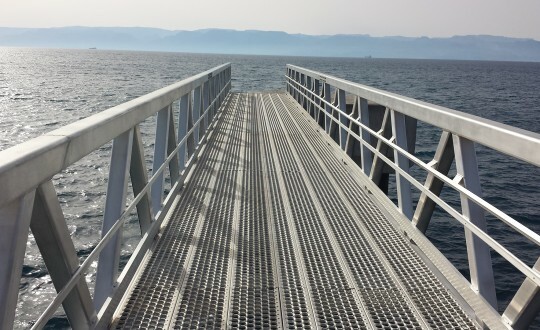 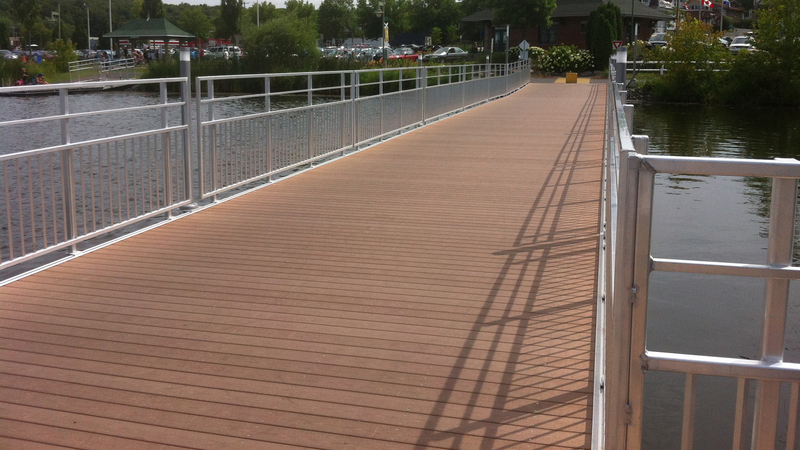 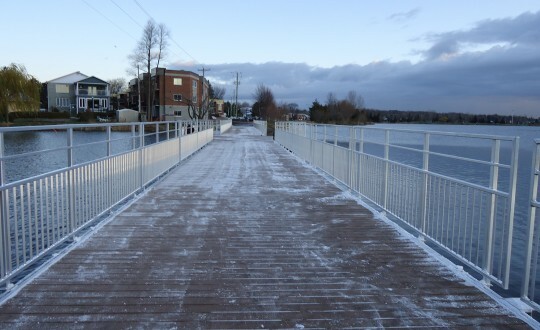 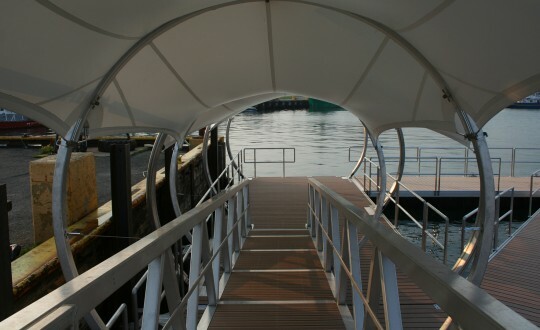 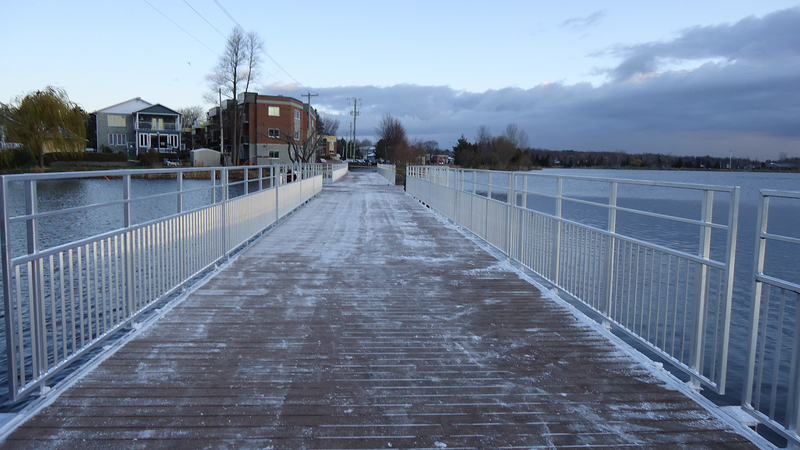 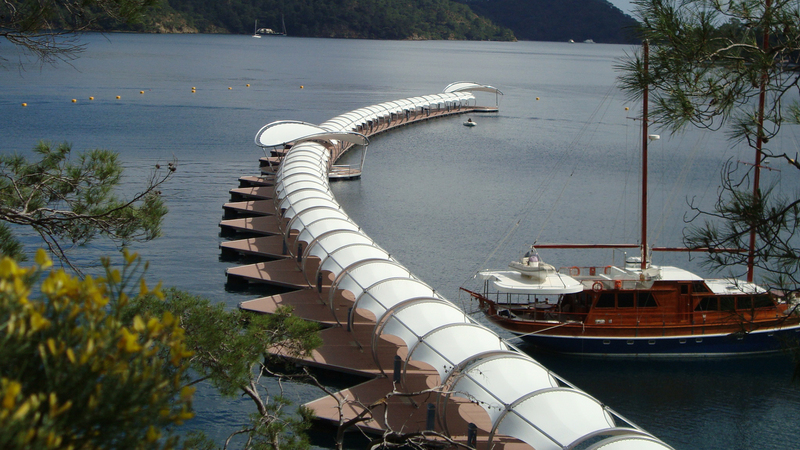 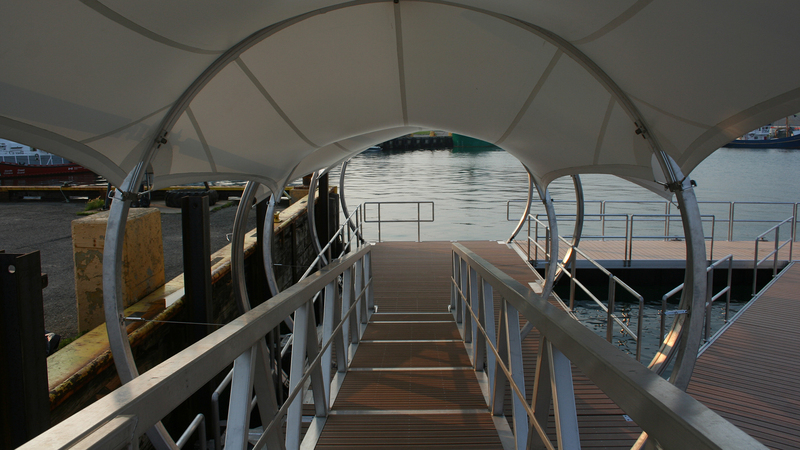 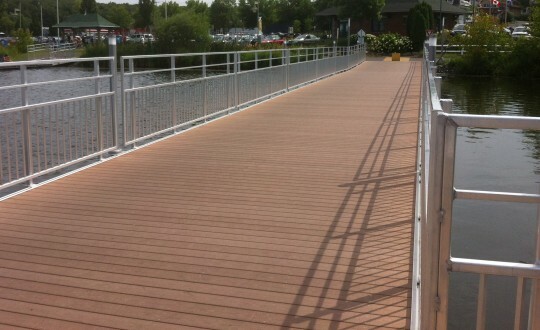 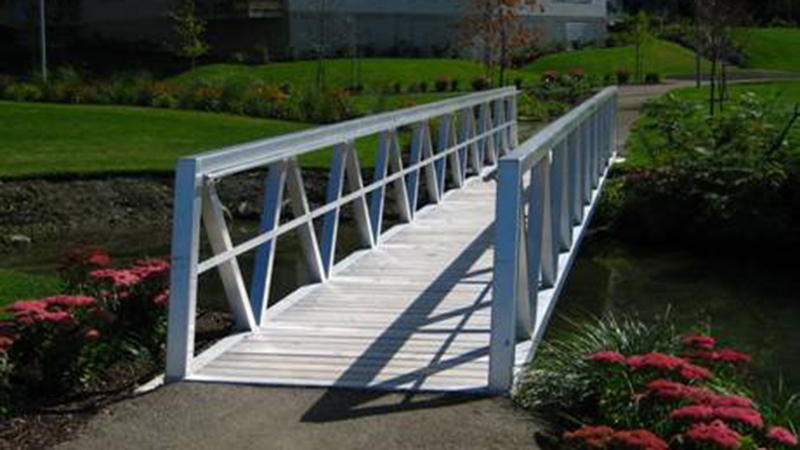 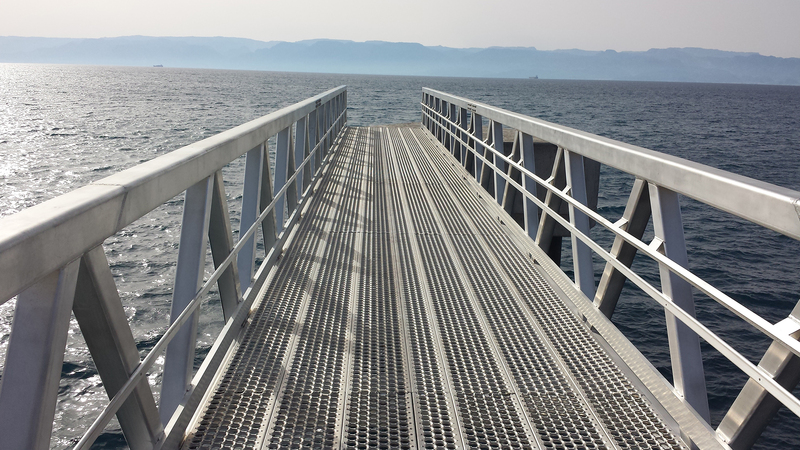 Walkways or gangways covered with pre-tensioned polyester/pvc composite roof membrane. 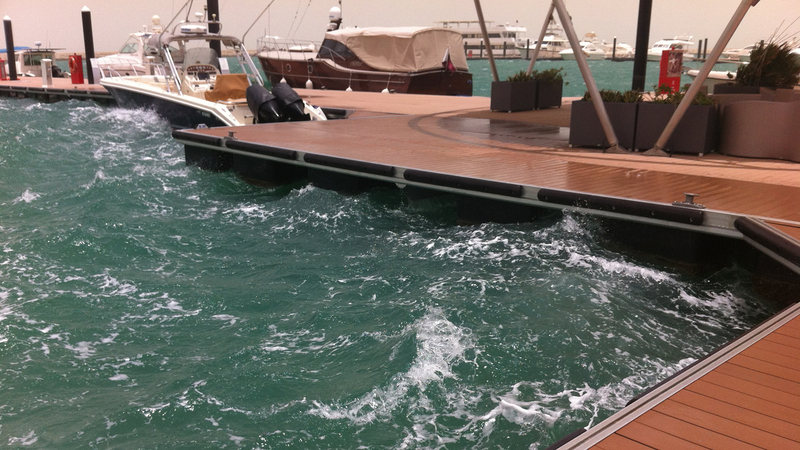 Designed to withstand more than 120 km/h (75 mph) and wave action up to 1.2 m (4 ft). 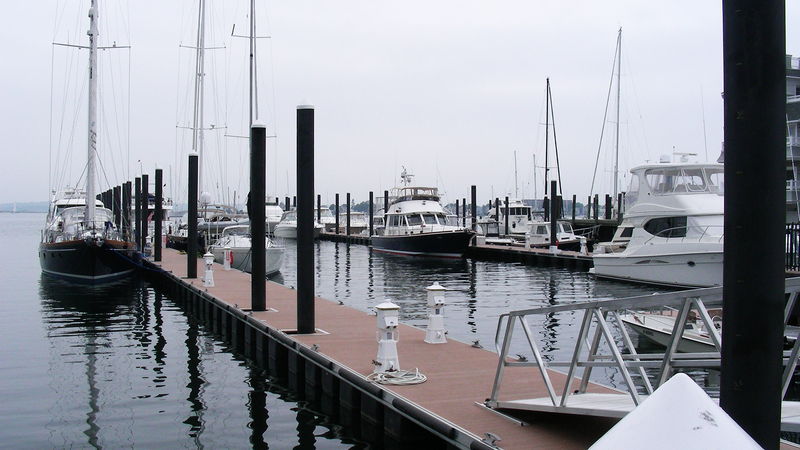 Rigid anchoring with piles or vertical tracks. 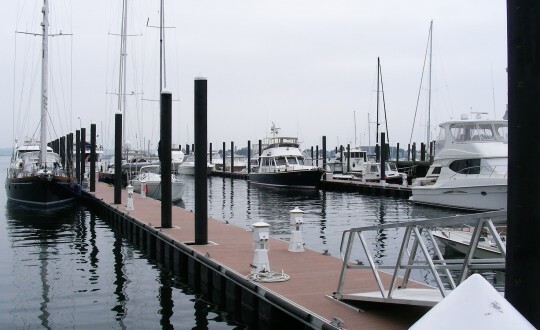 Flexible anchoring with concrete or earth anchors. 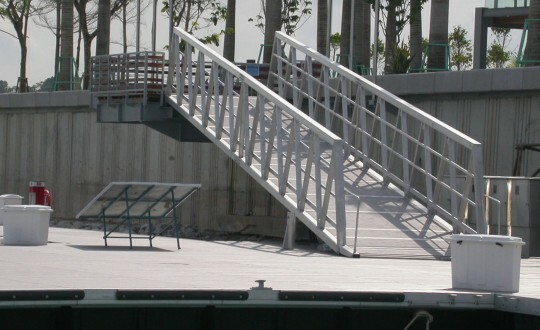 Site specific designs as per client’s unique requirements and applications. Construction to blend with upland architecture.